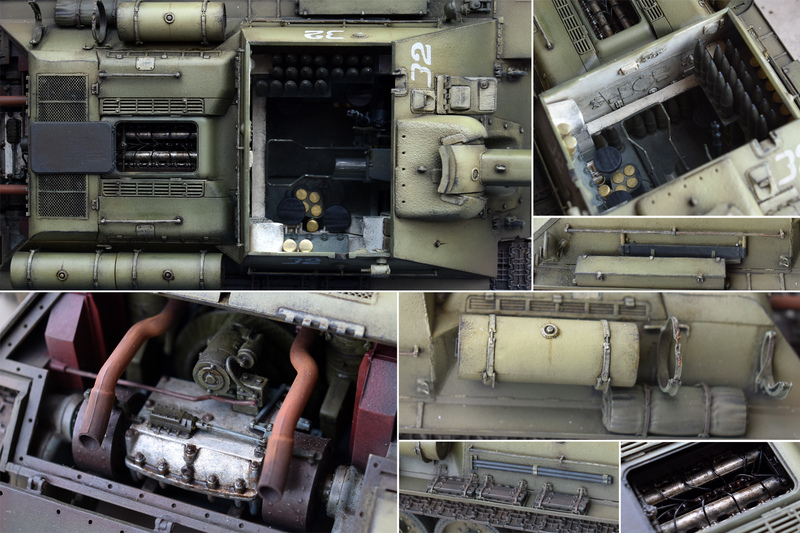 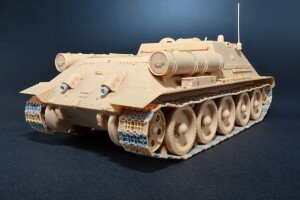 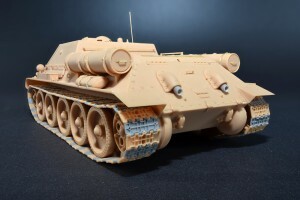 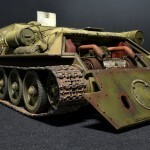 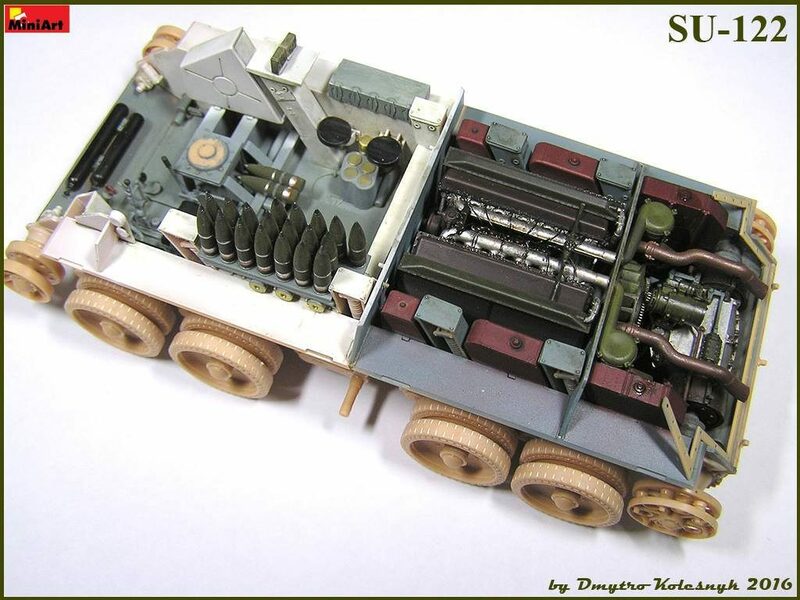 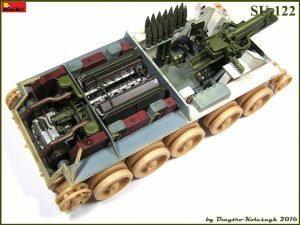 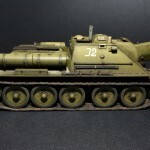 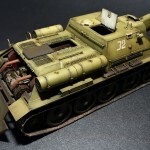 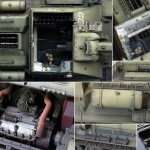 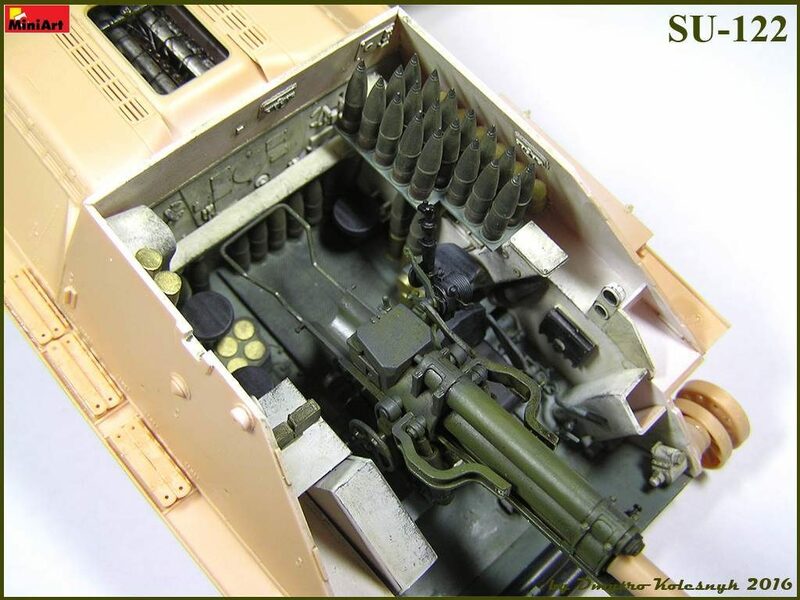 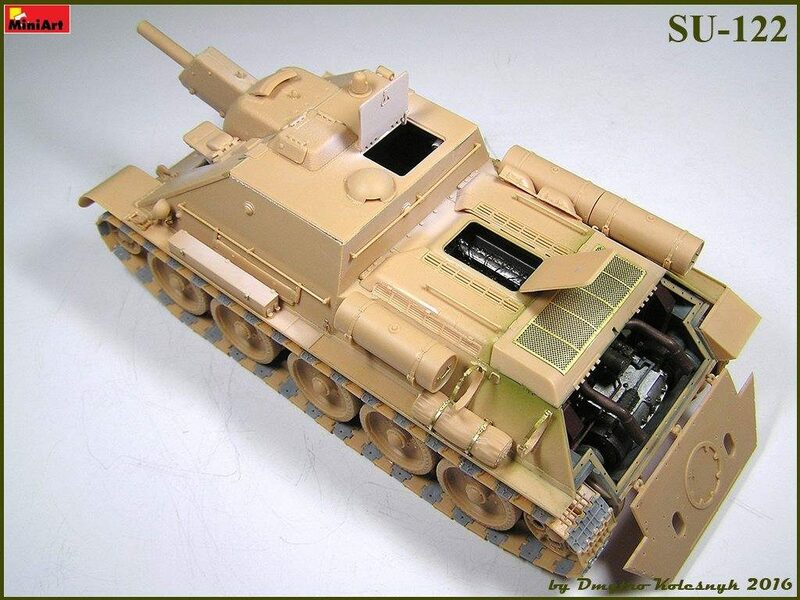 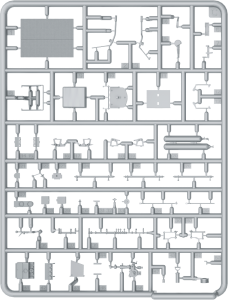 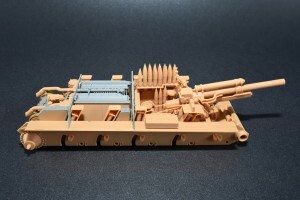 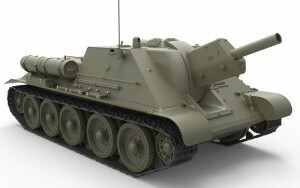 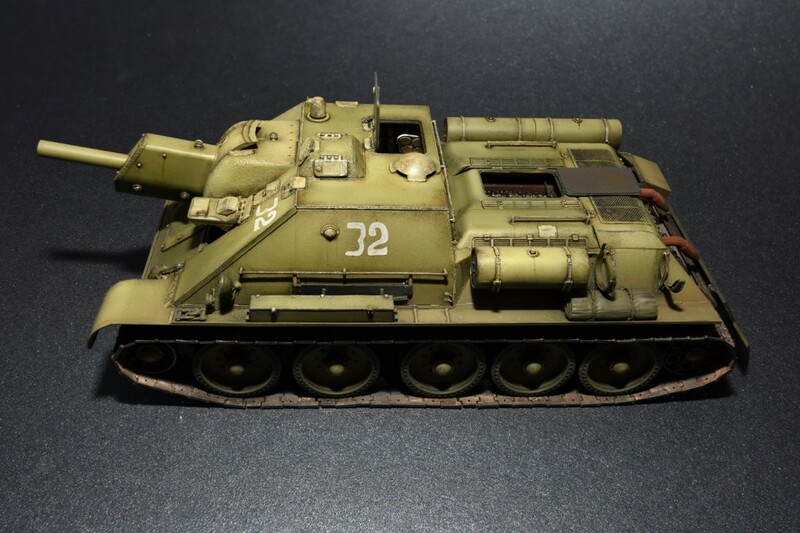 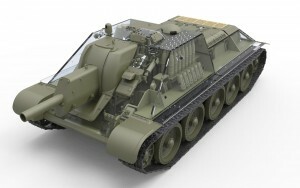 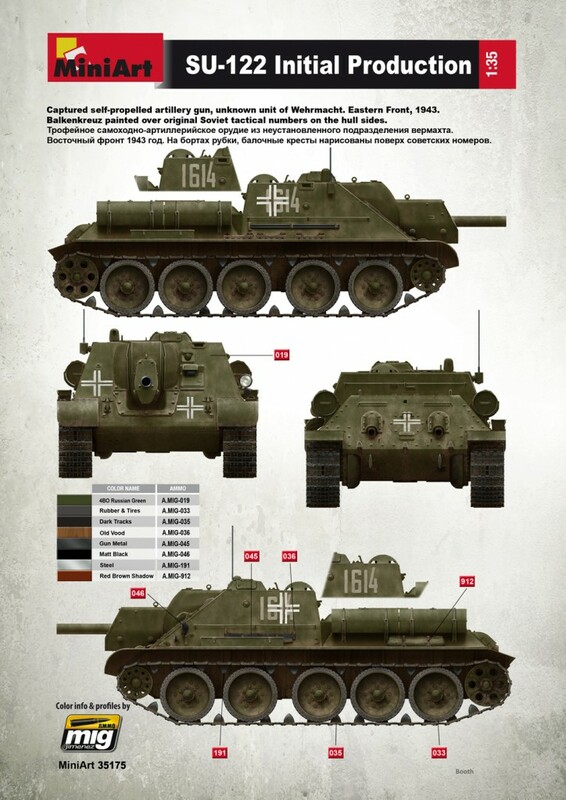 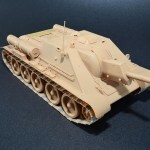 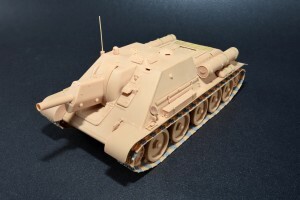 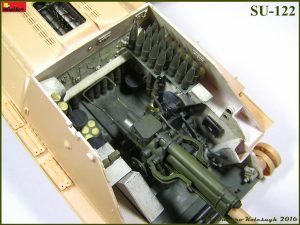 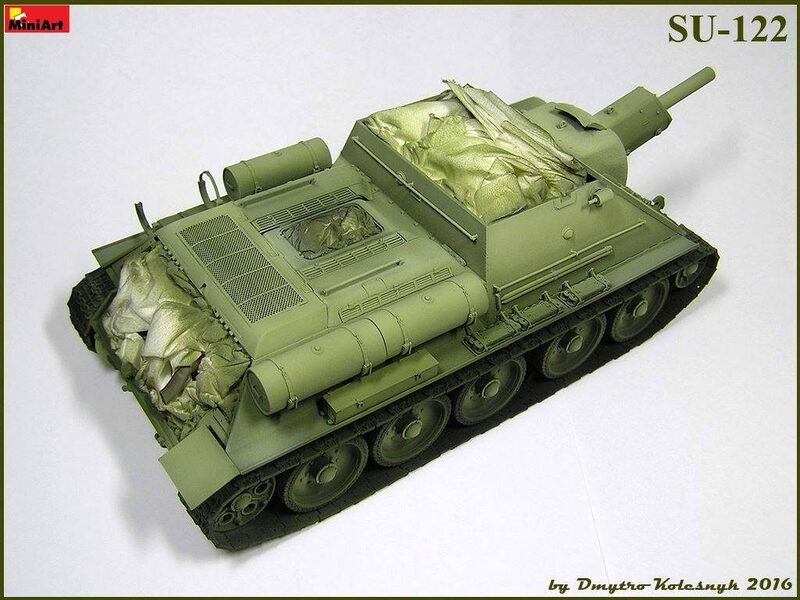 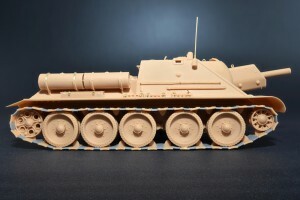 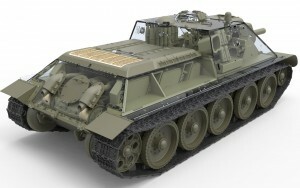 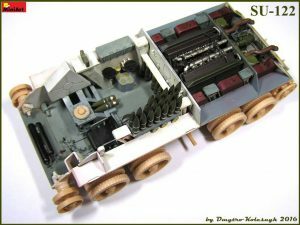 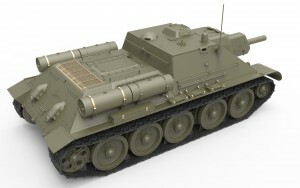 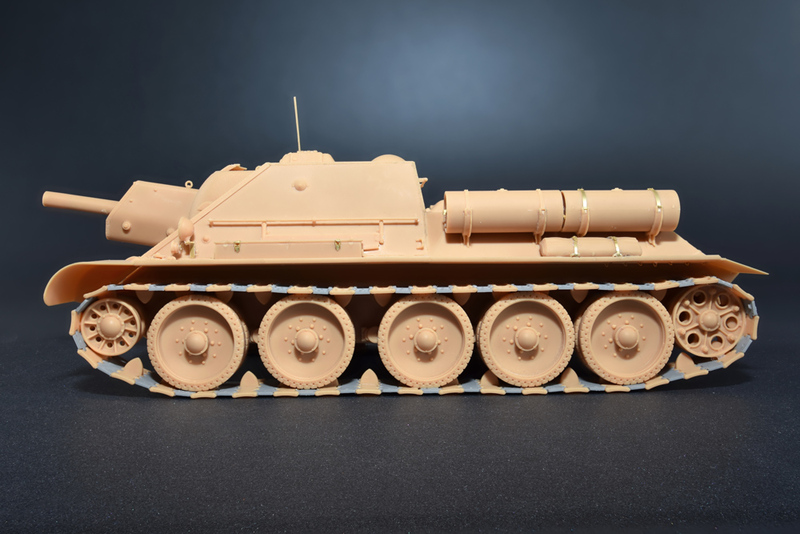 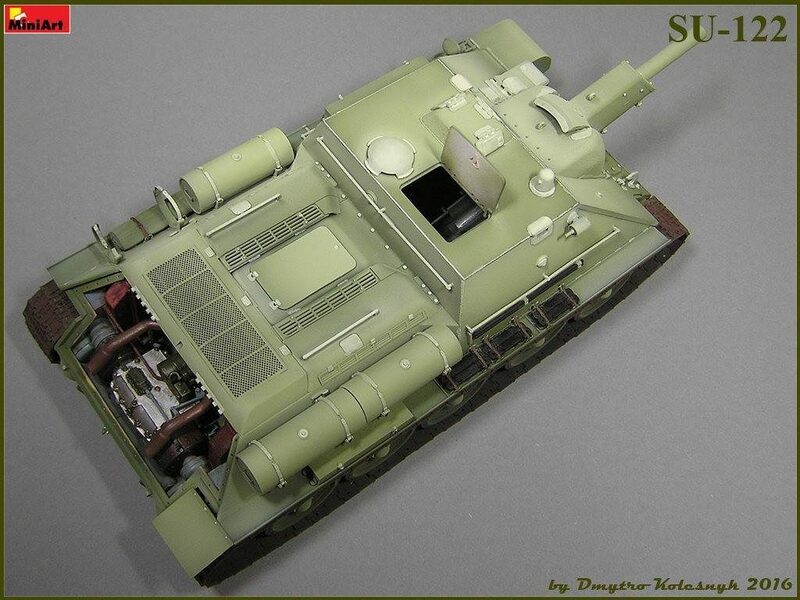 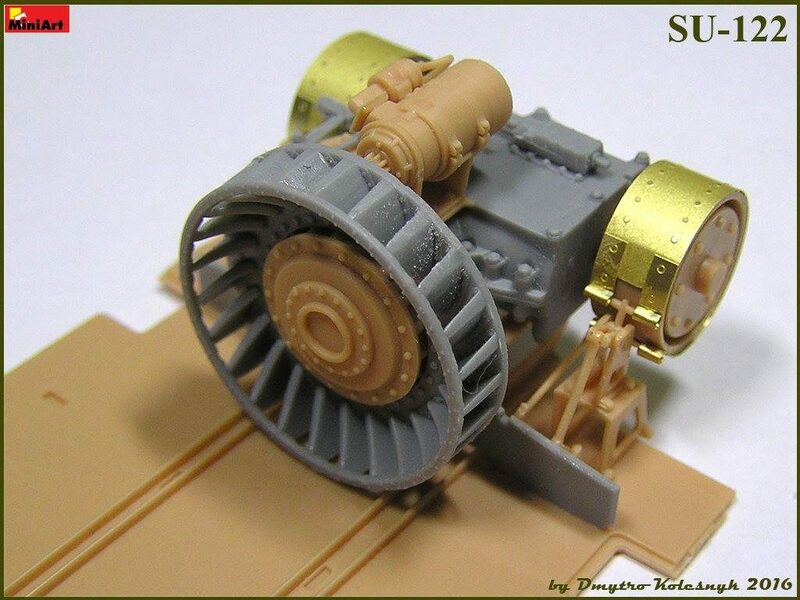 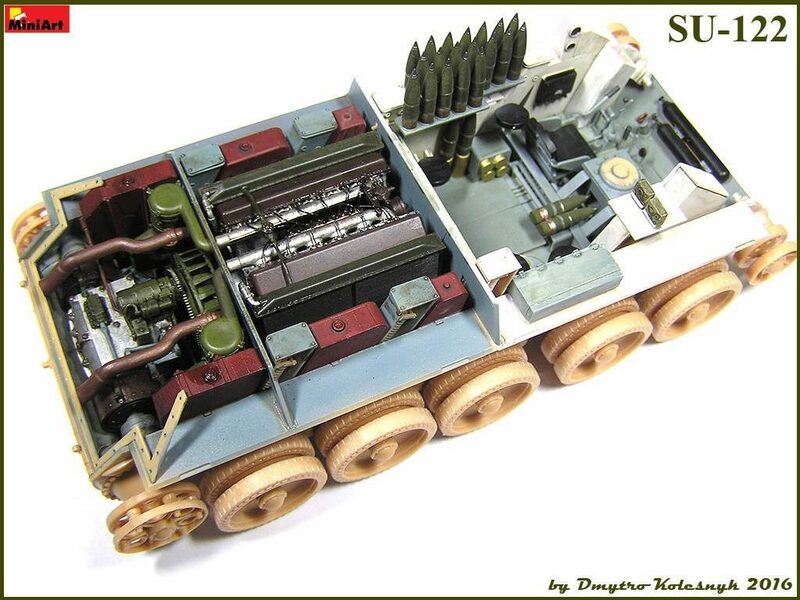 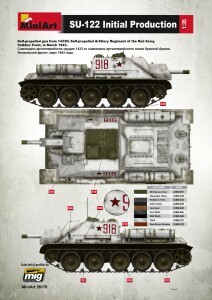 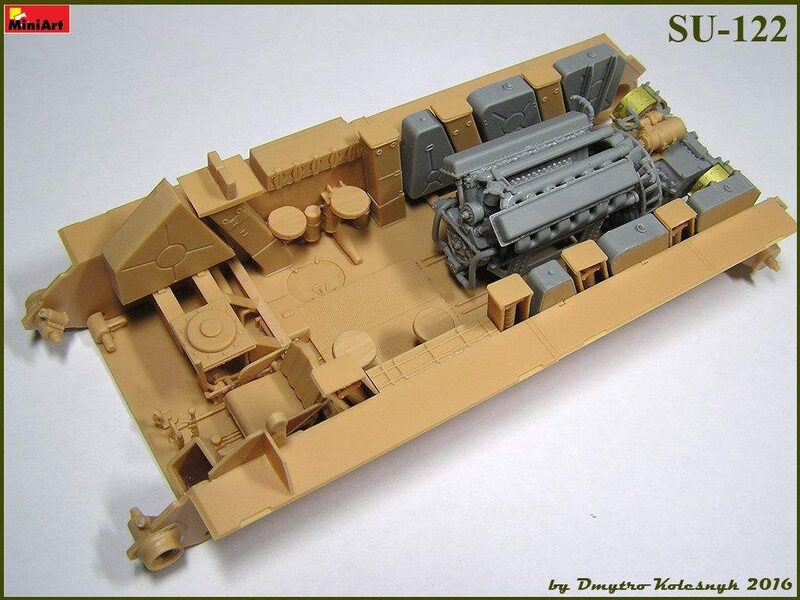 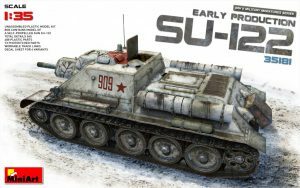 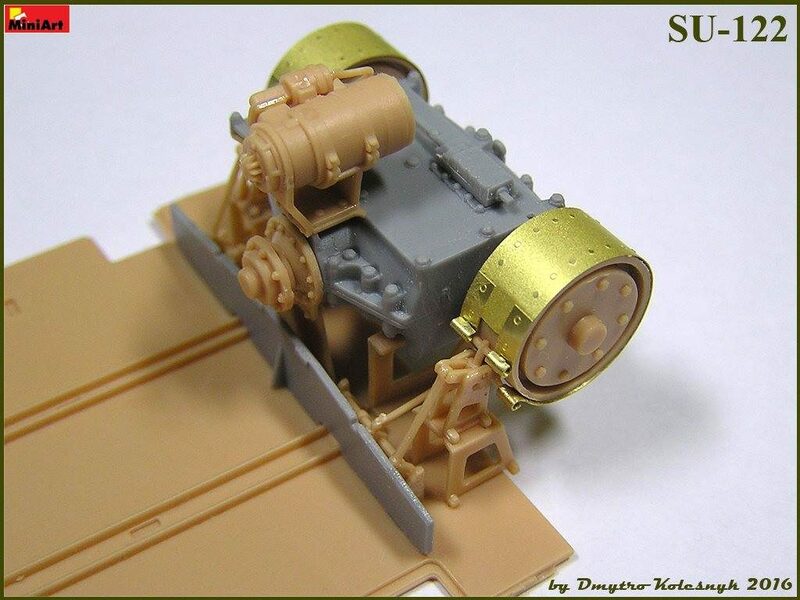 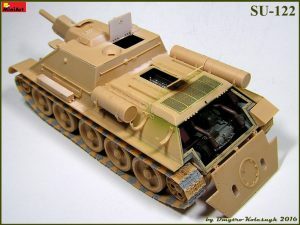 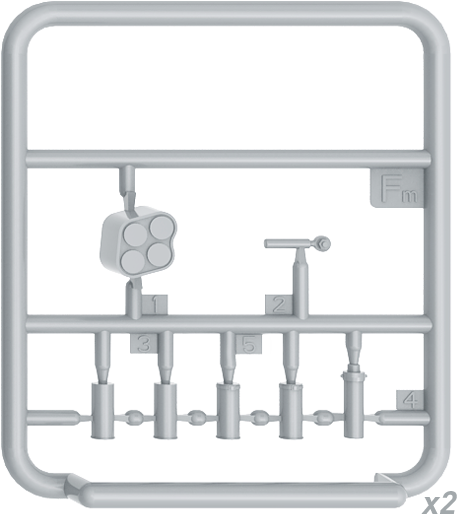 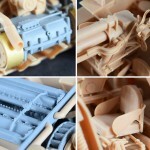 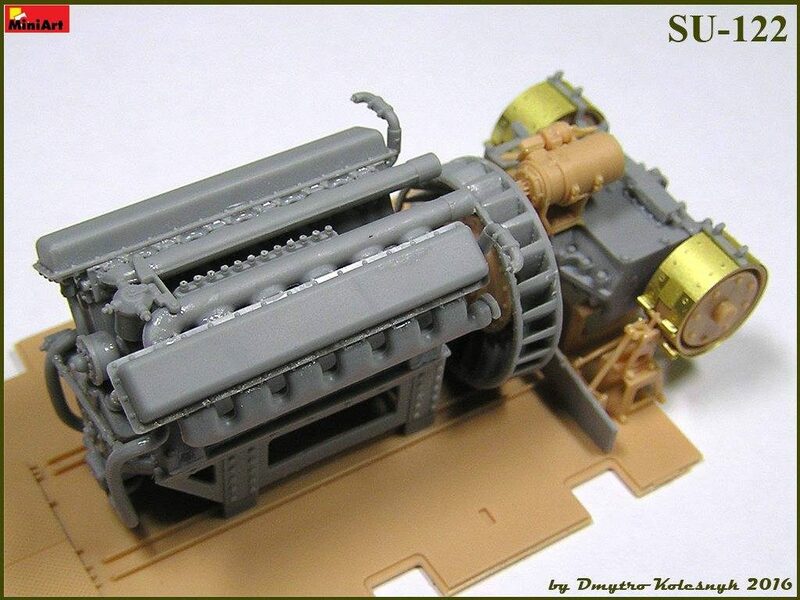 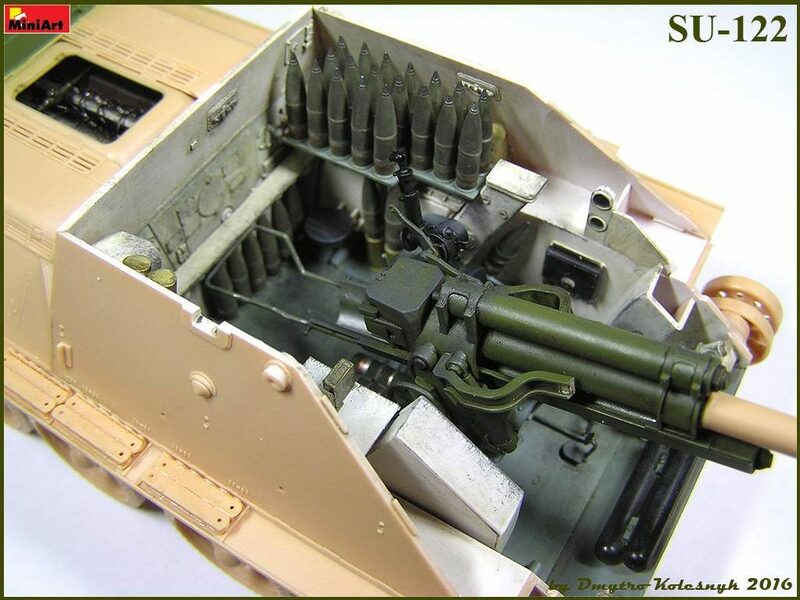 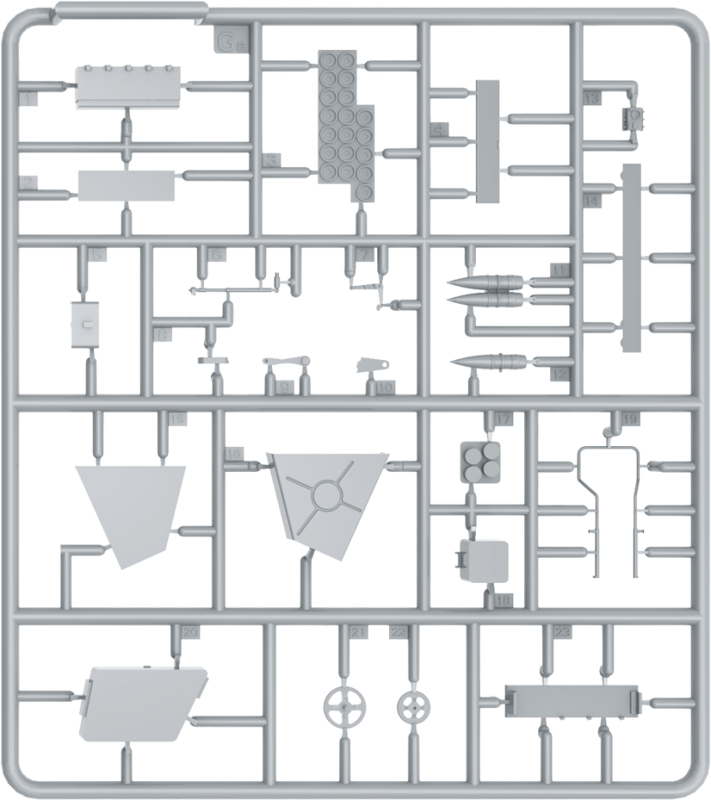 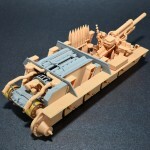 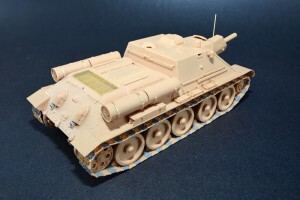 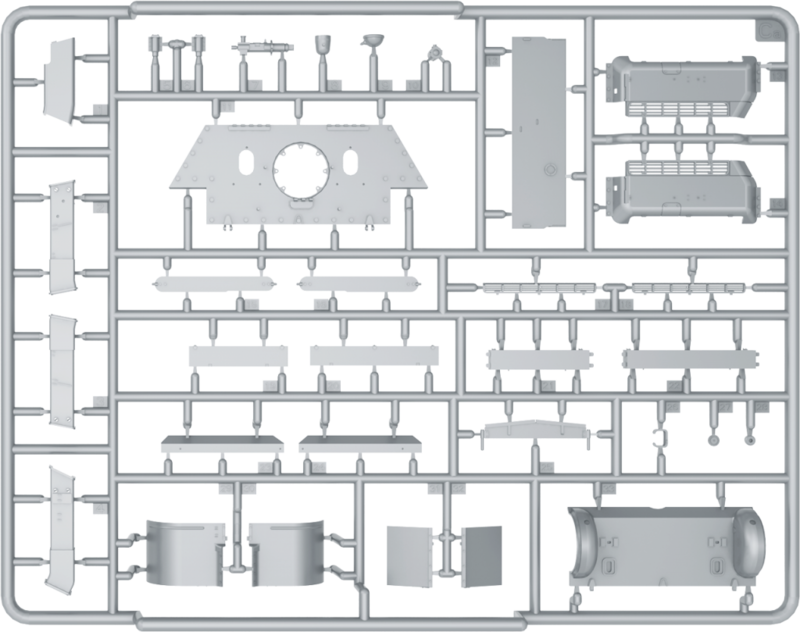 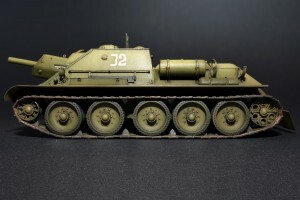 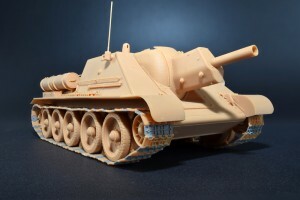 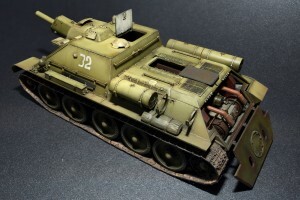 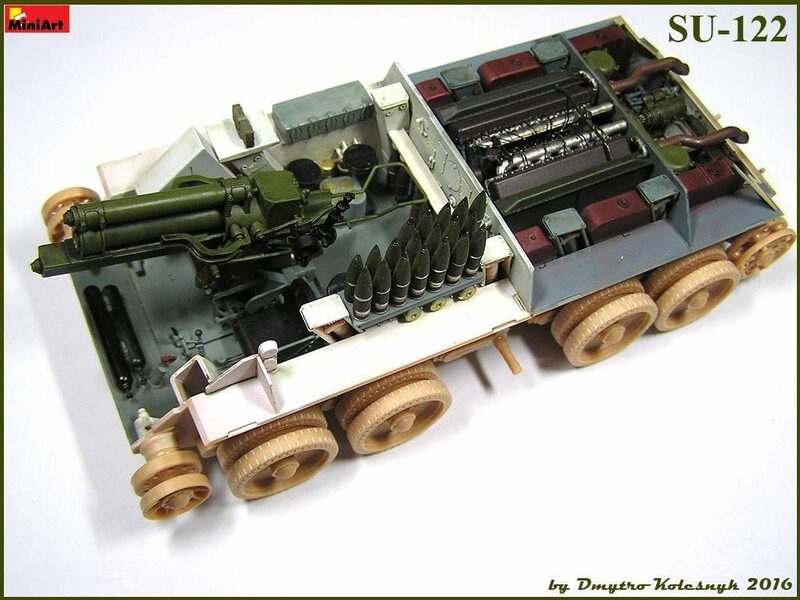 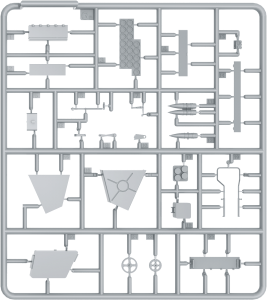 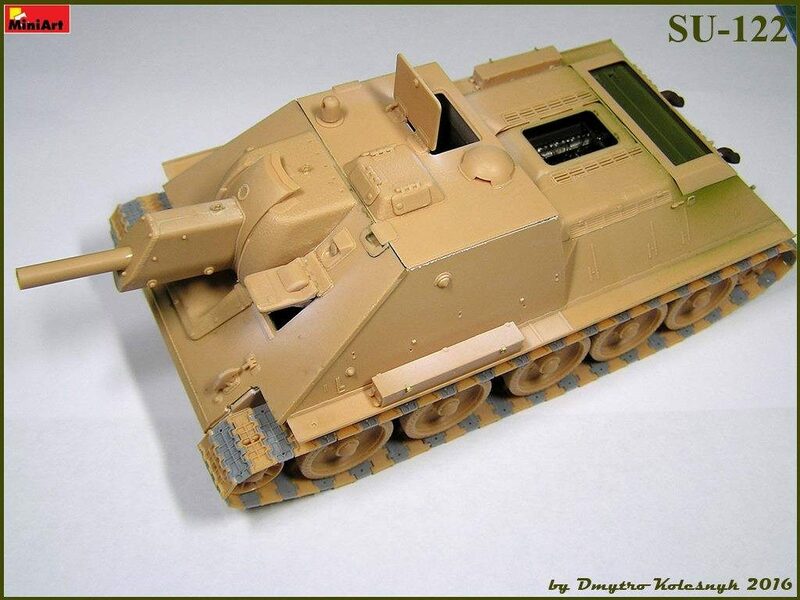 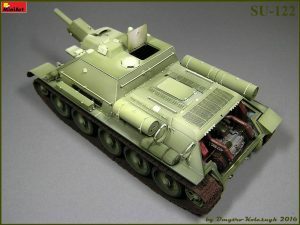 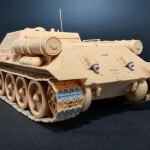 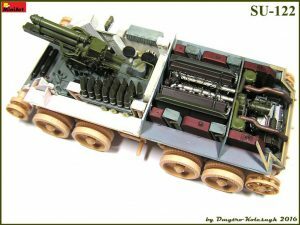 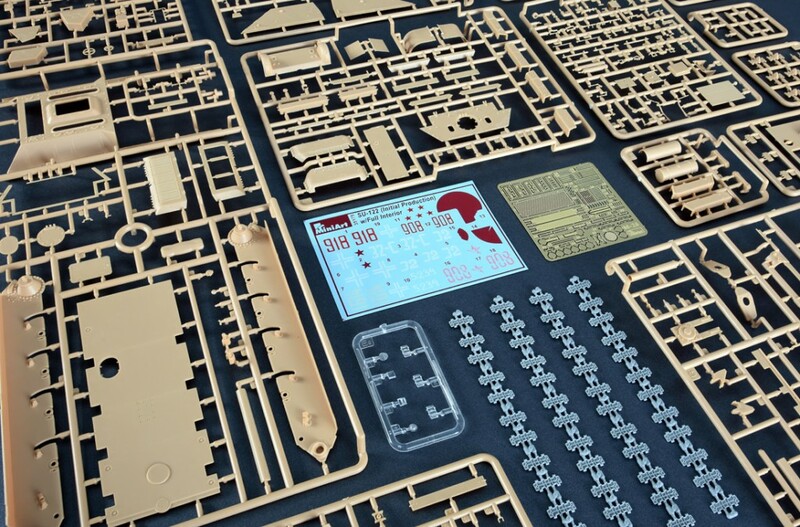 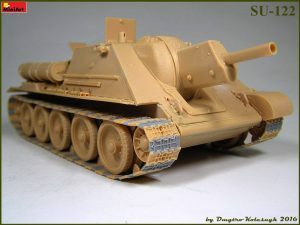 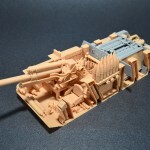 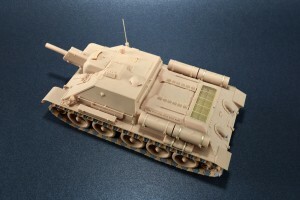 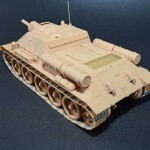 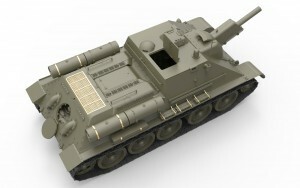 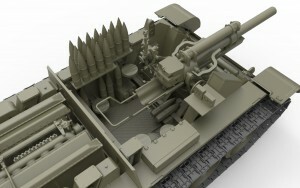 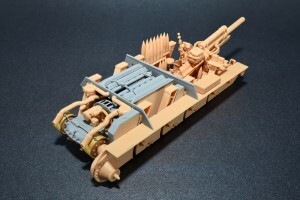 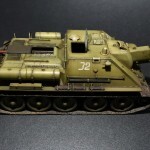 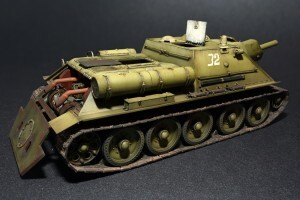 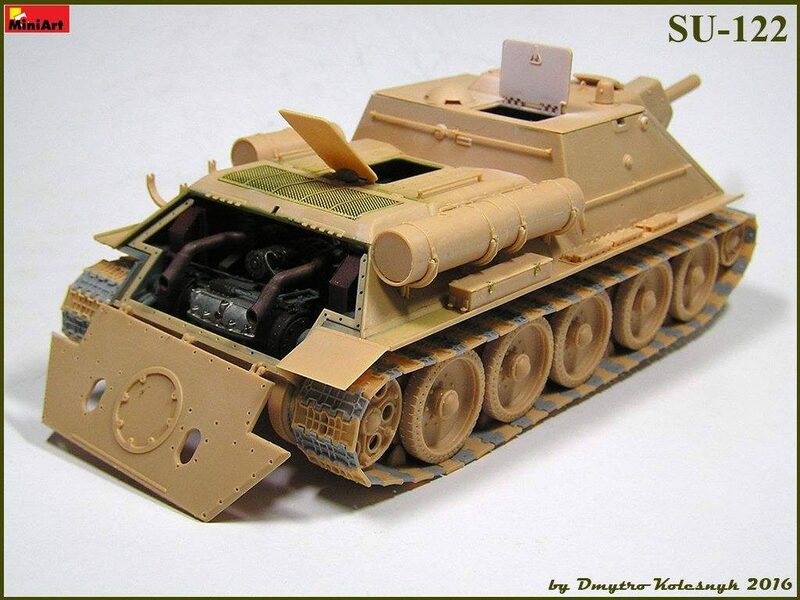 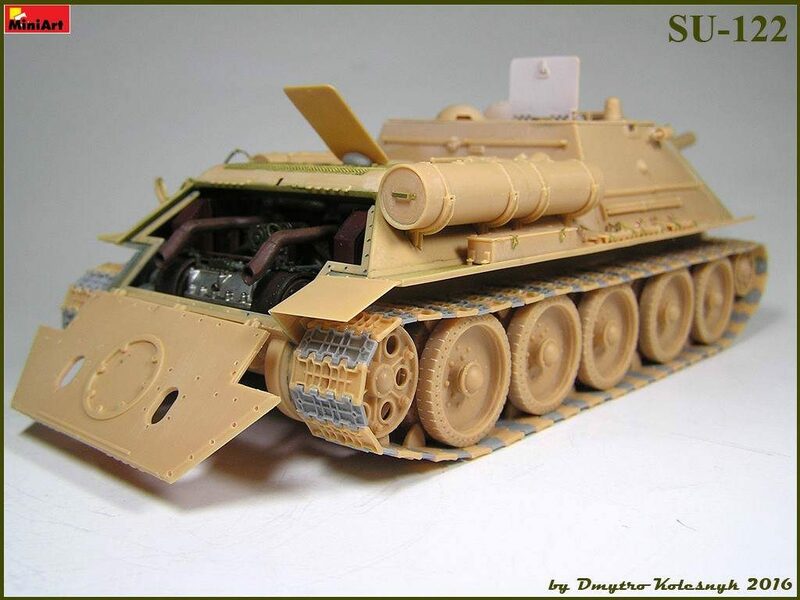 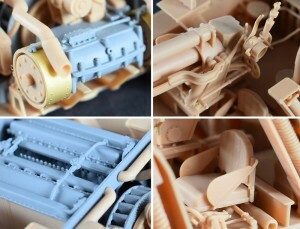 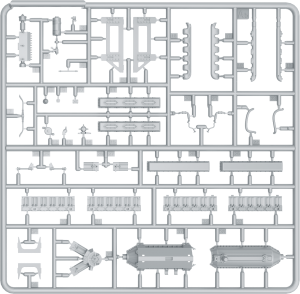 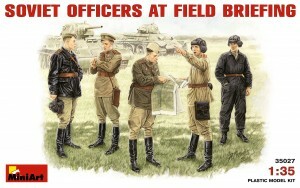 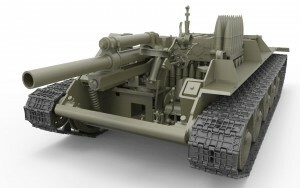 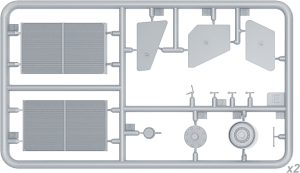 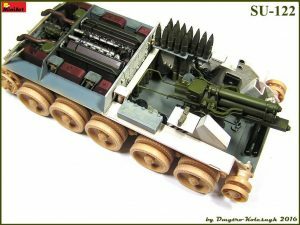 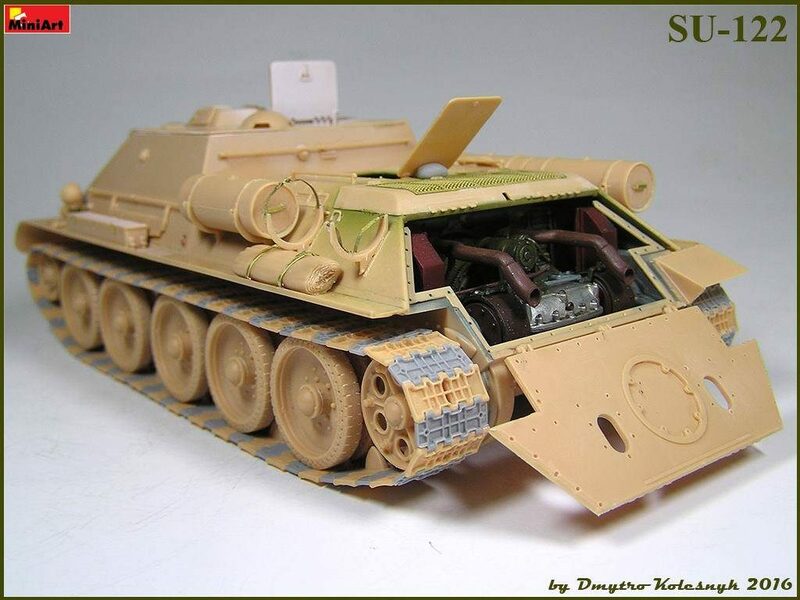 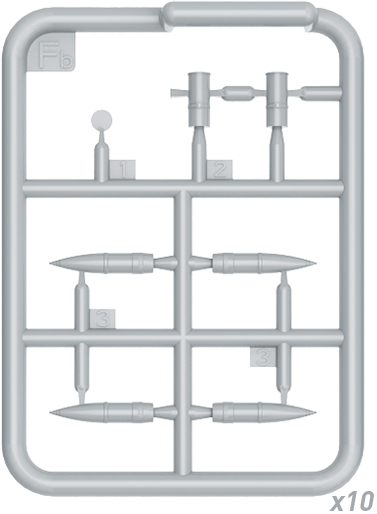 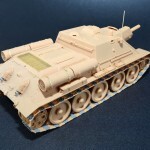 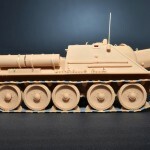 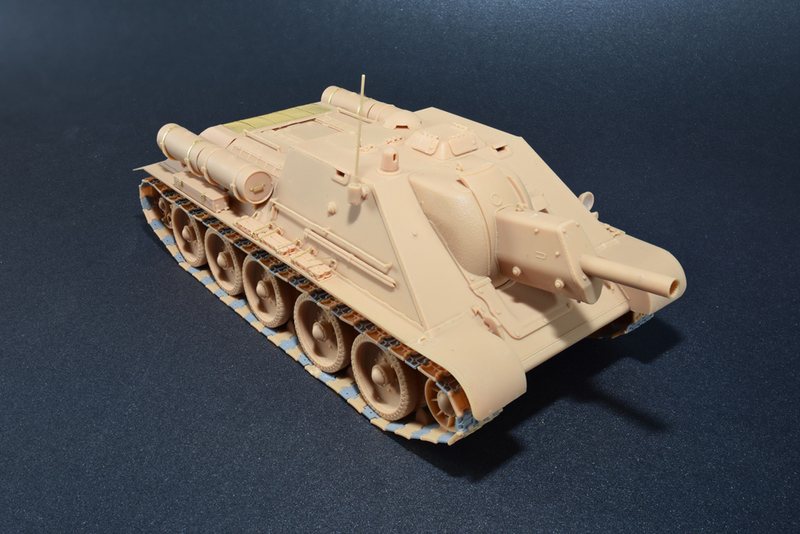 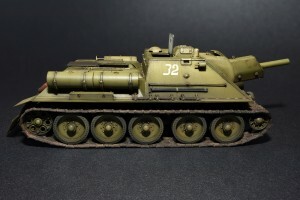 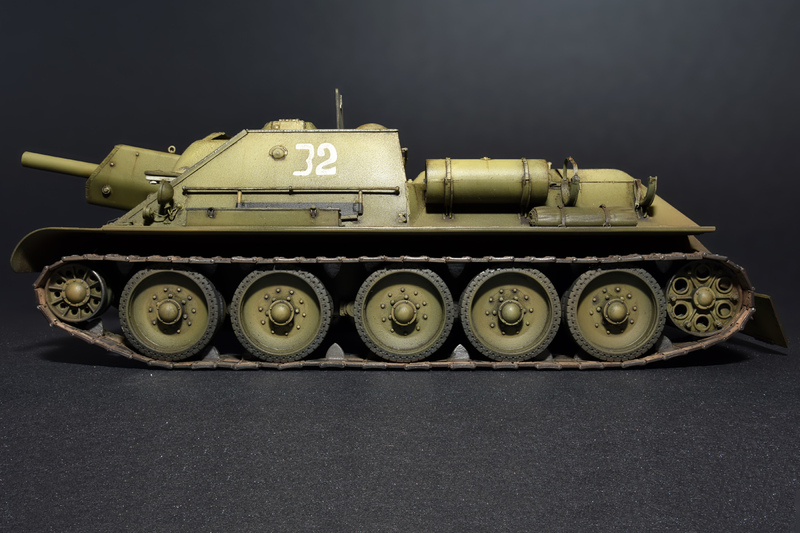 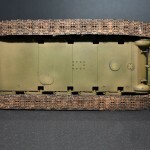 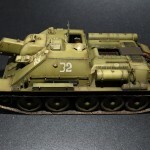 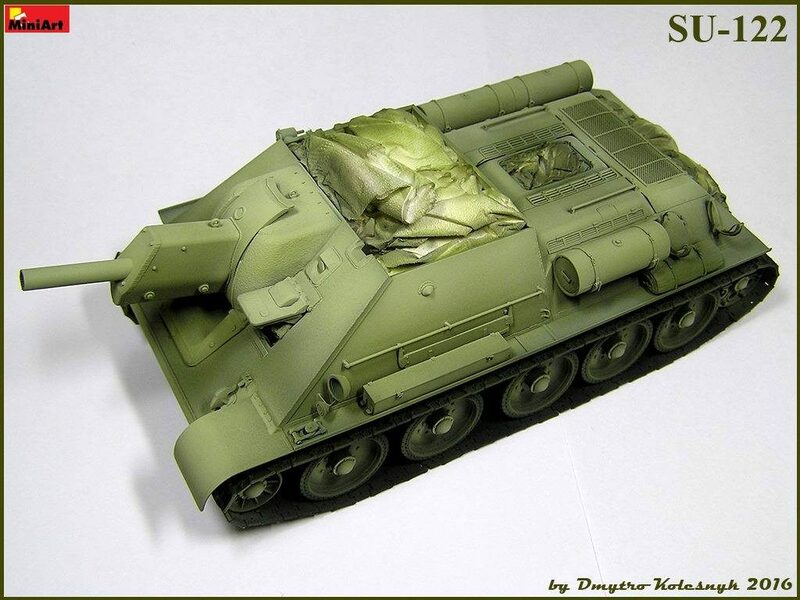 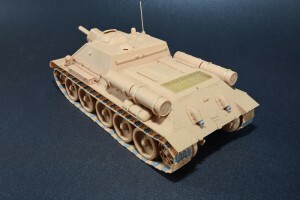 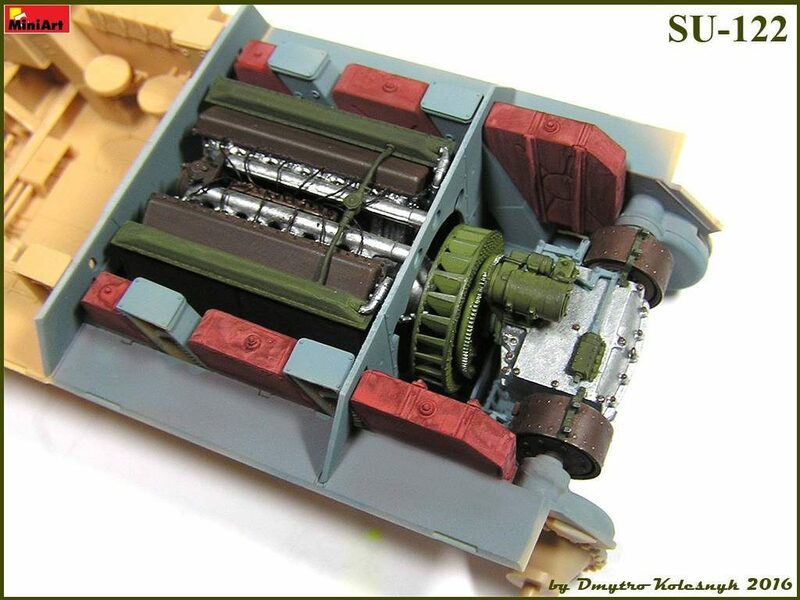 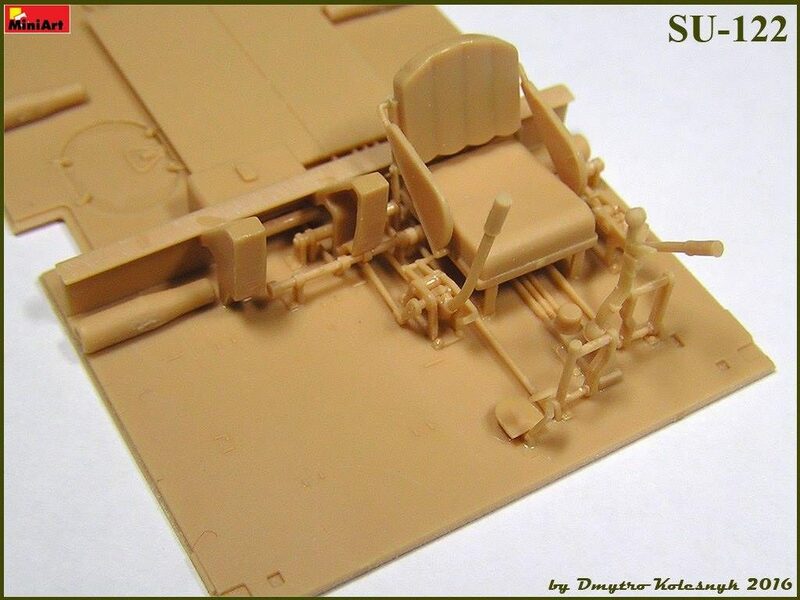 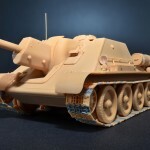 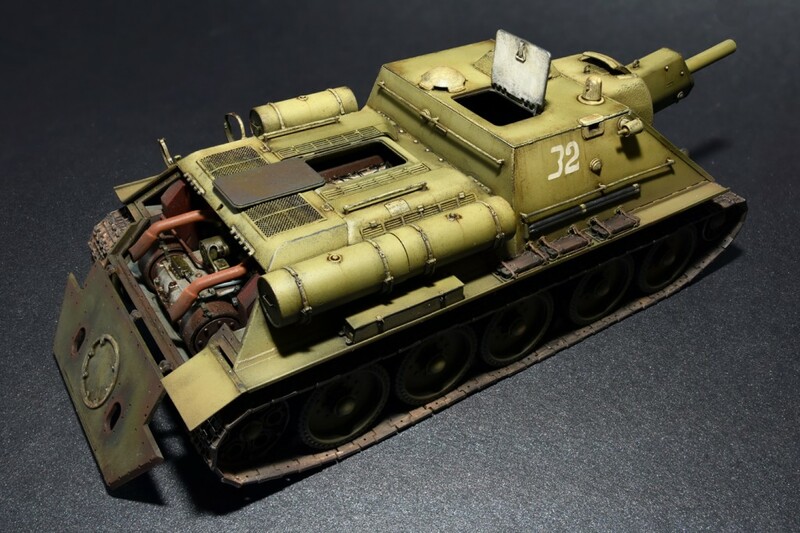 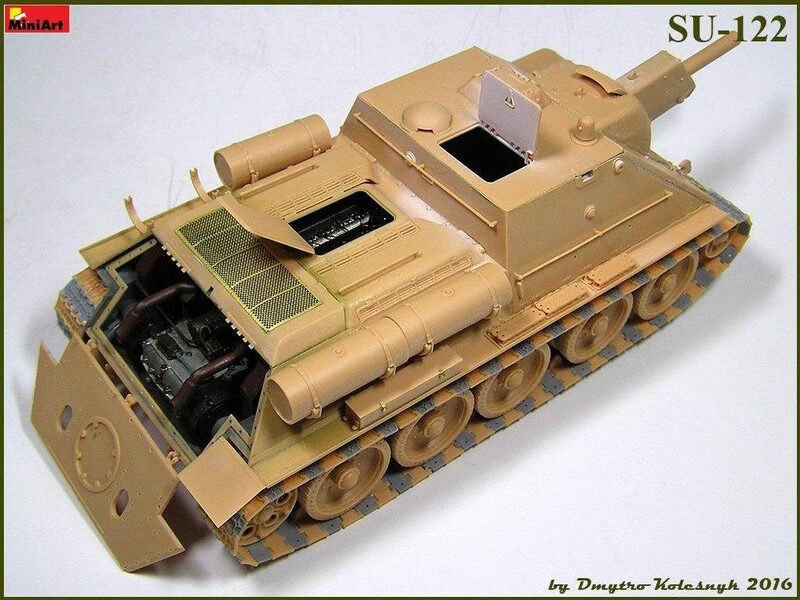 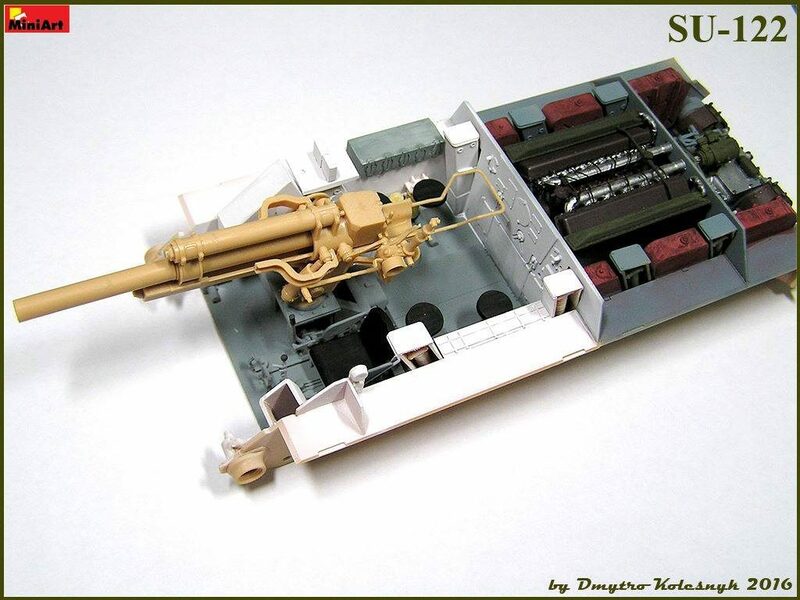 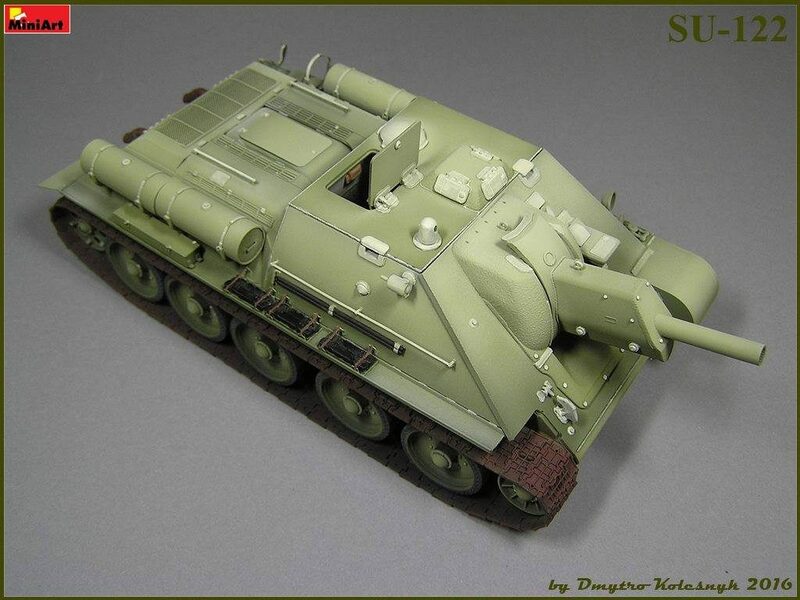 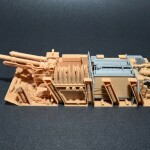 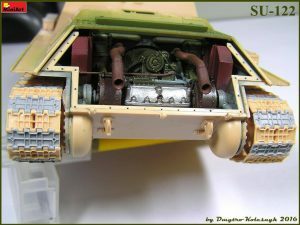 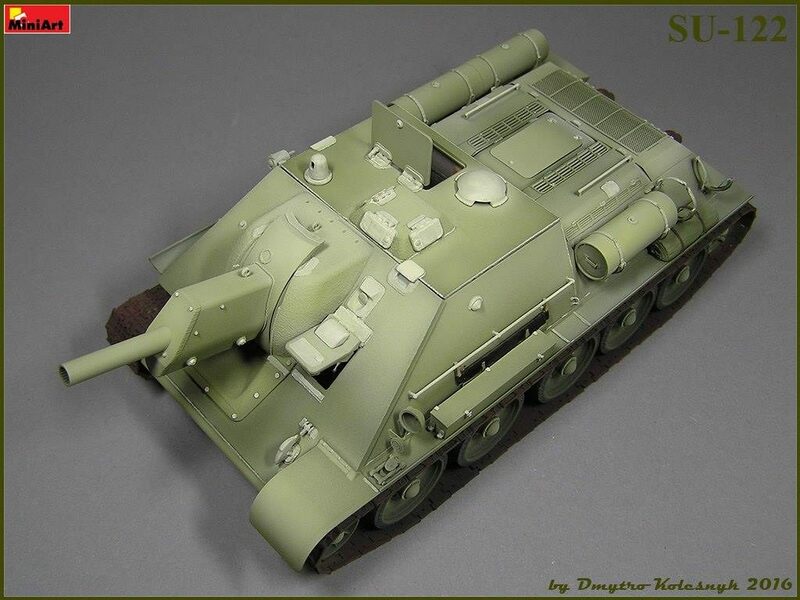 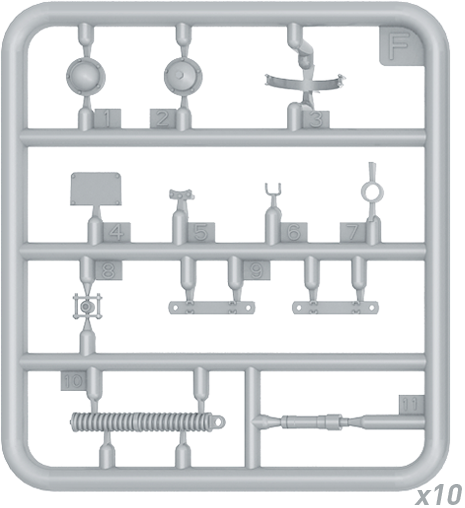 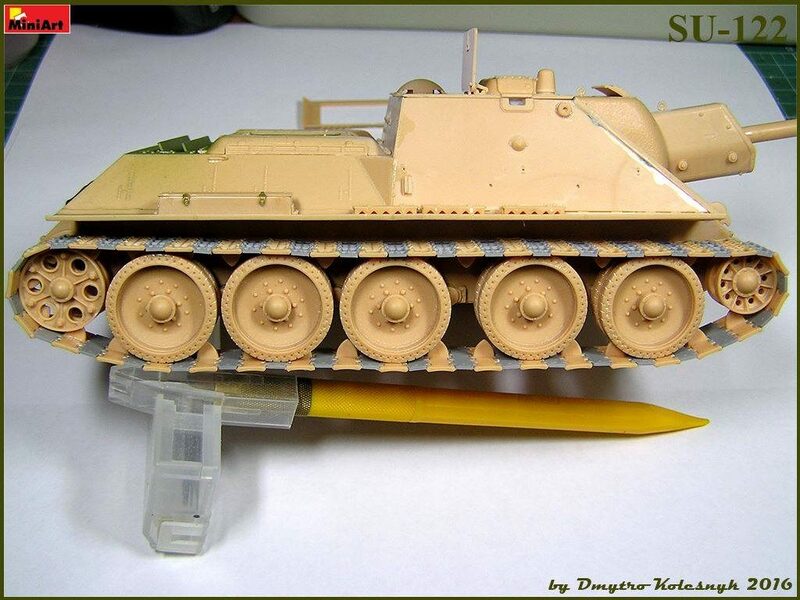 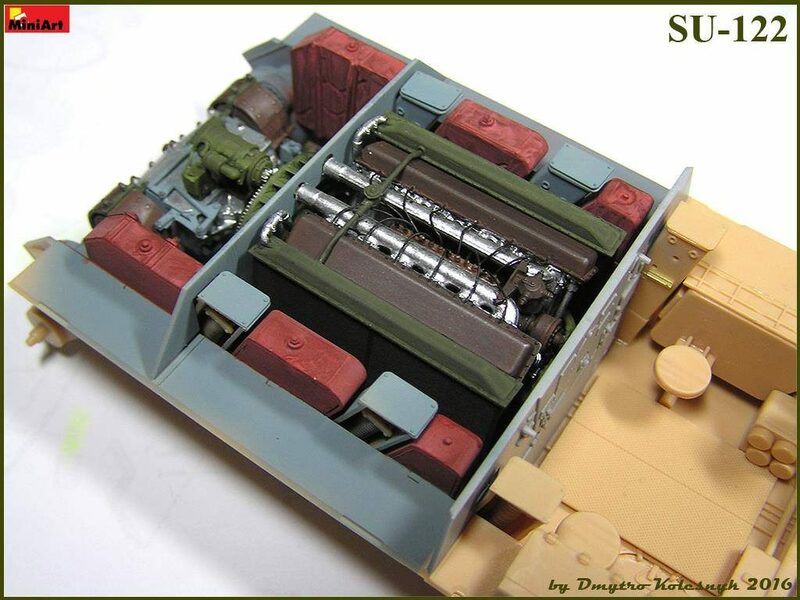 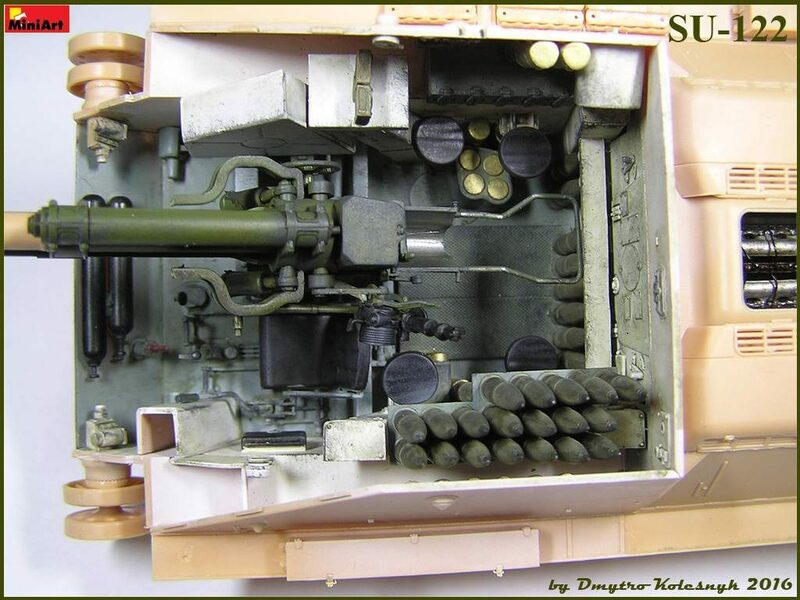 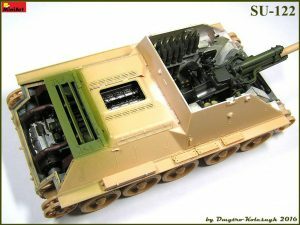 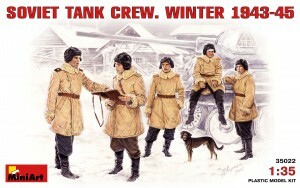 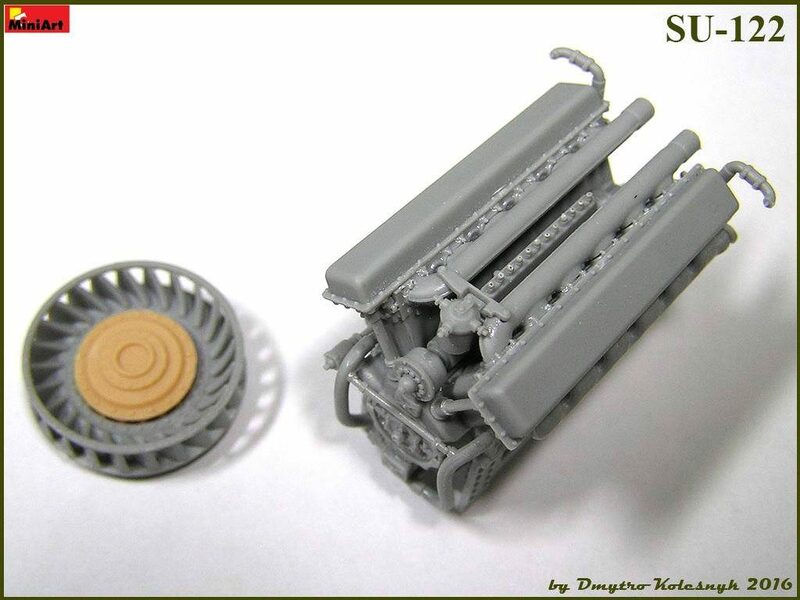 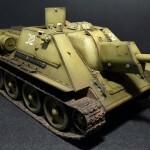 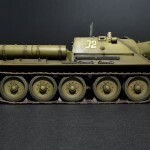 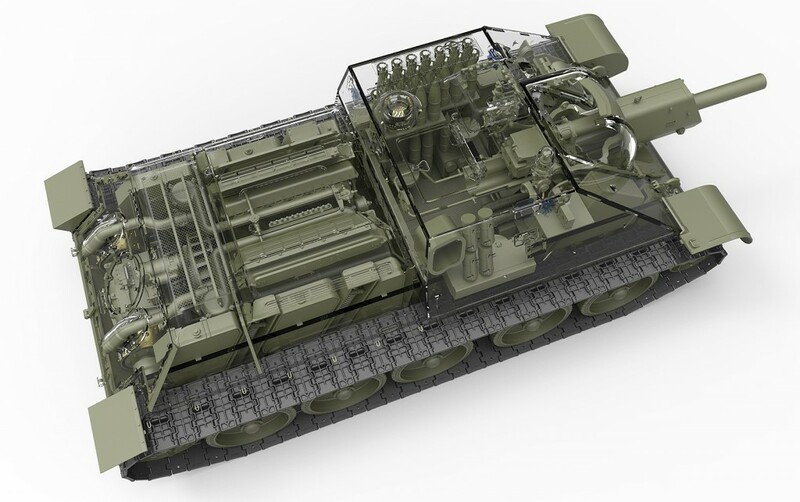 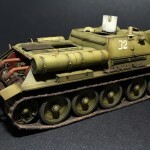 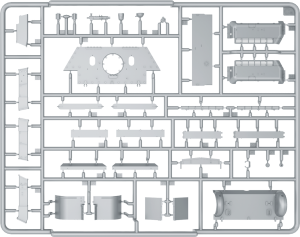 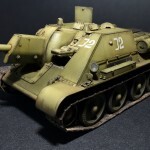 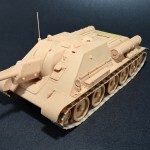 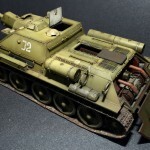 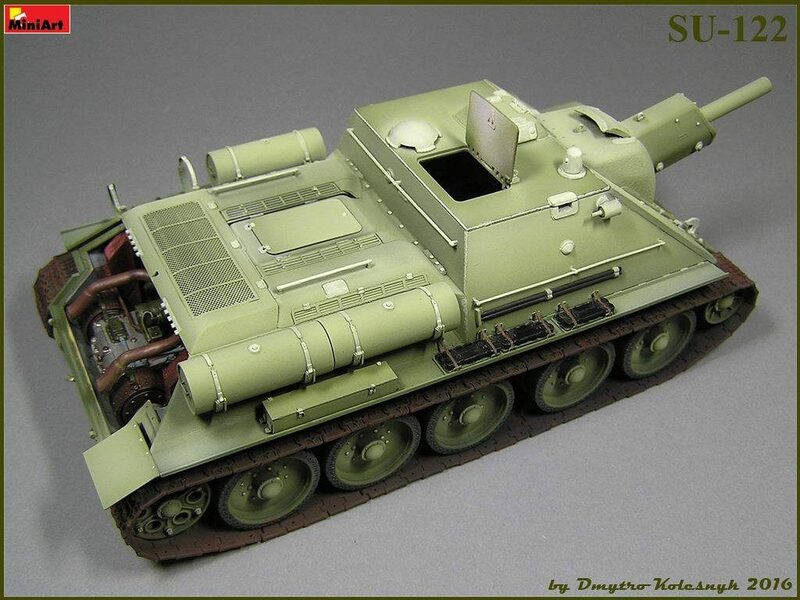 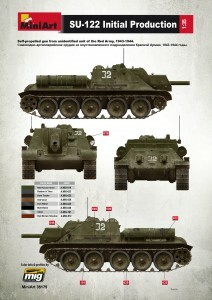 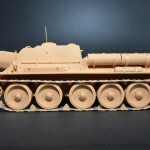 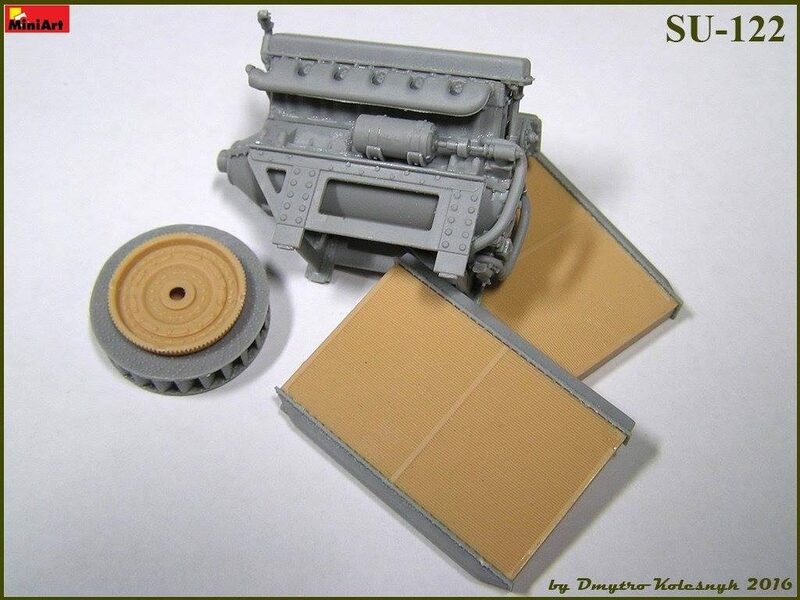 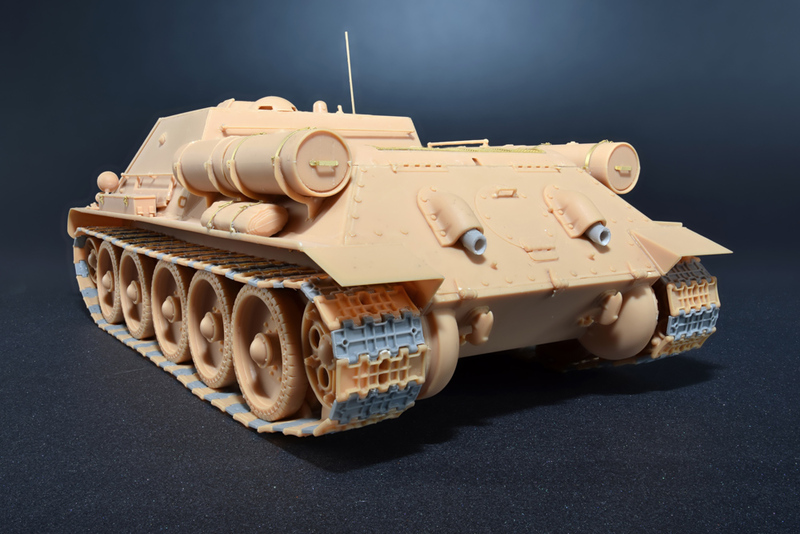 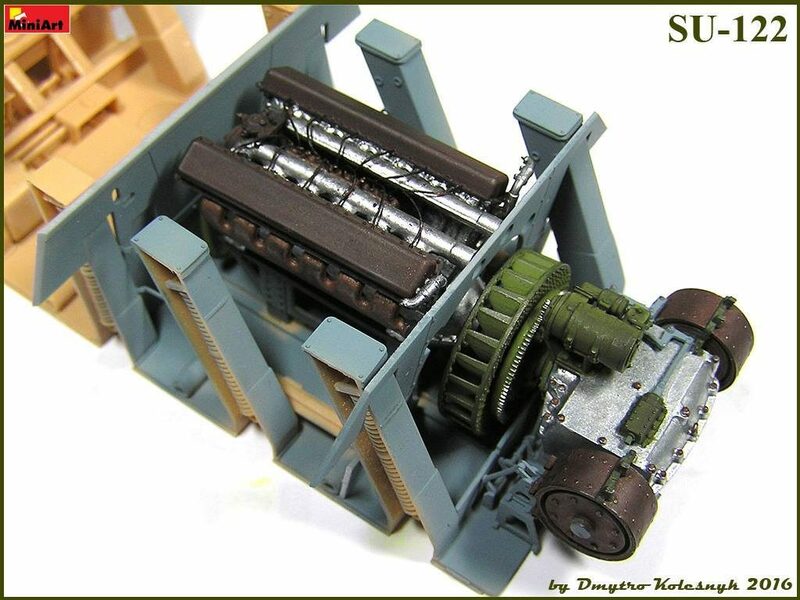 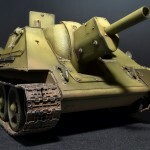 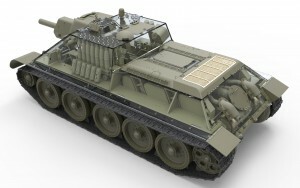 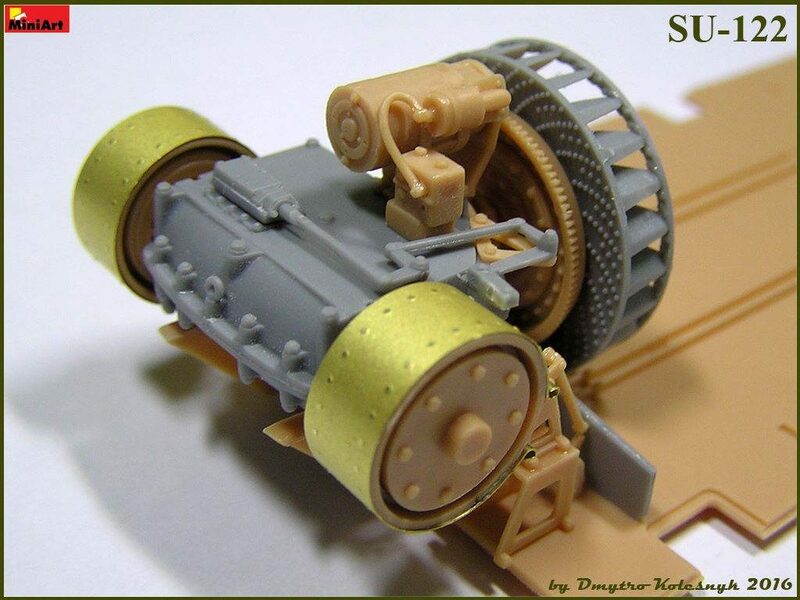 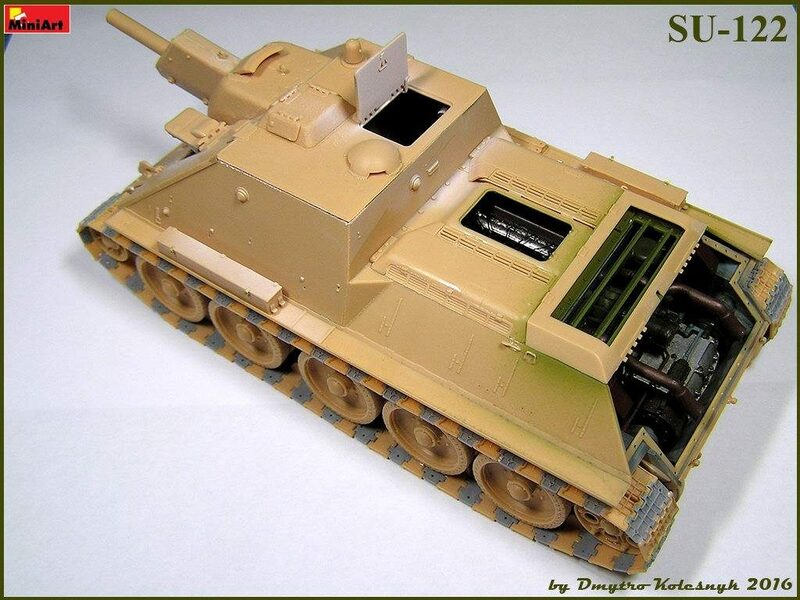 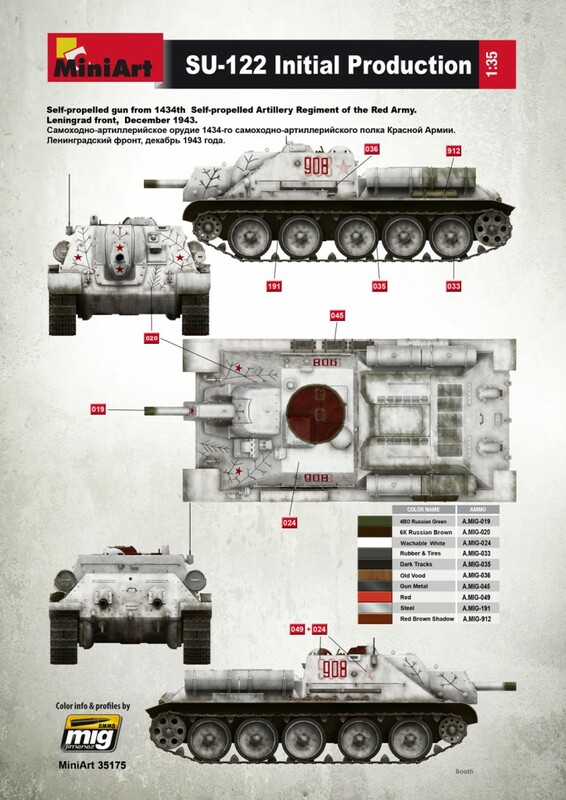 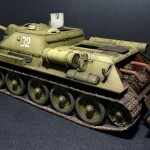 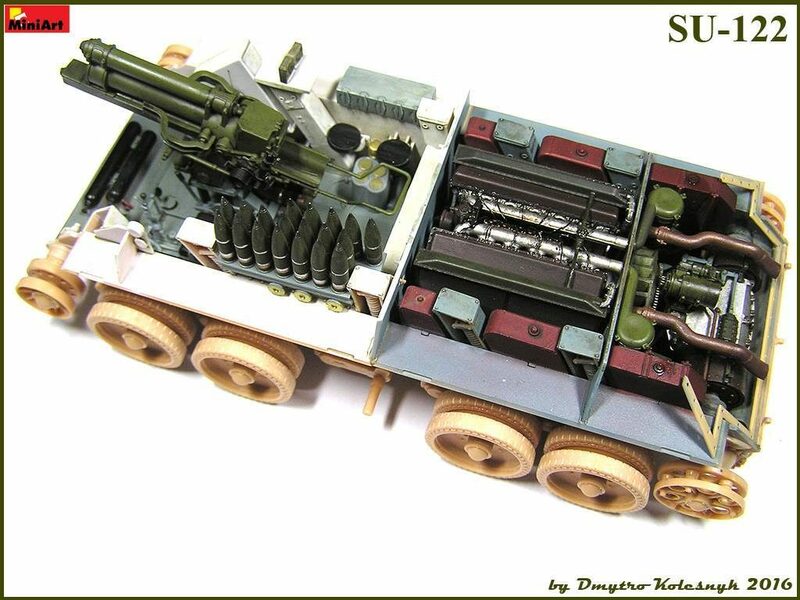 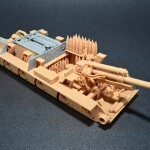 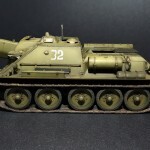 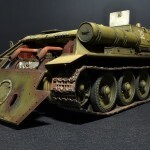 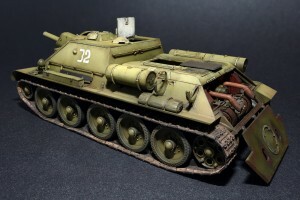 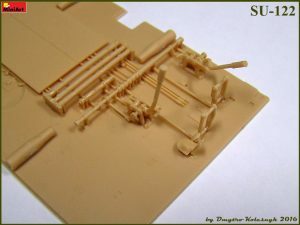 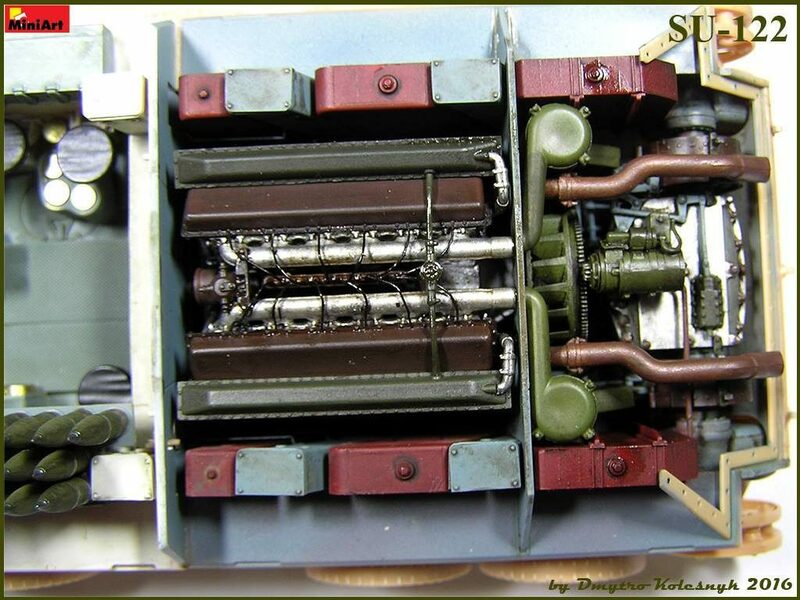 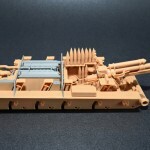 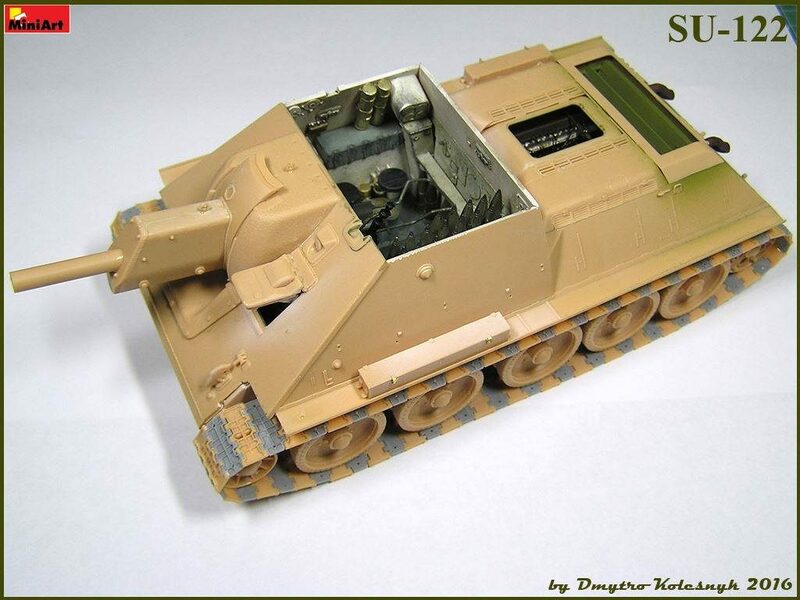 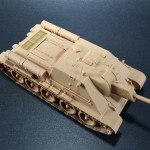 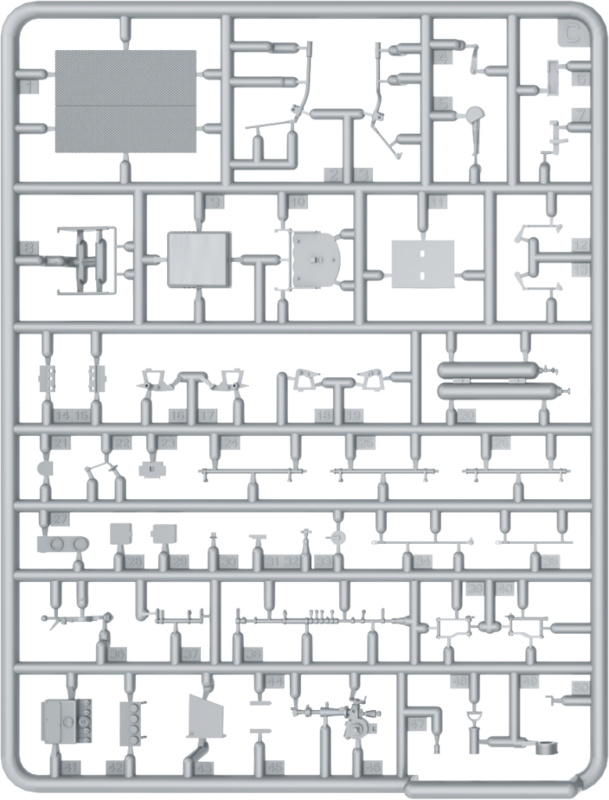 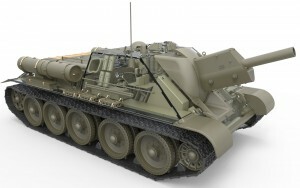 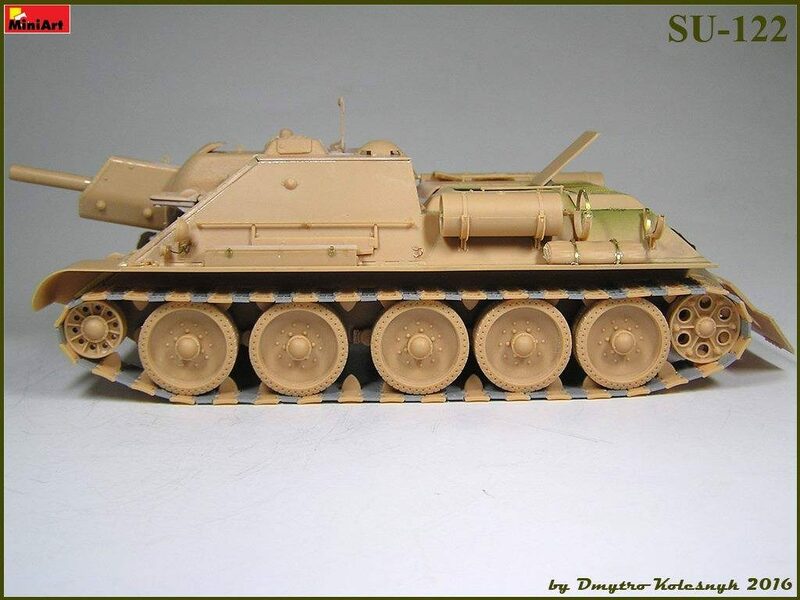 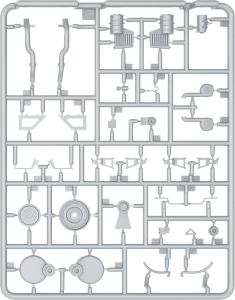 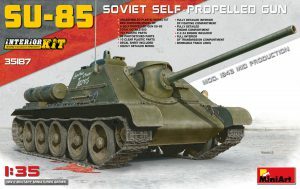 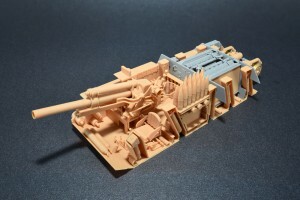 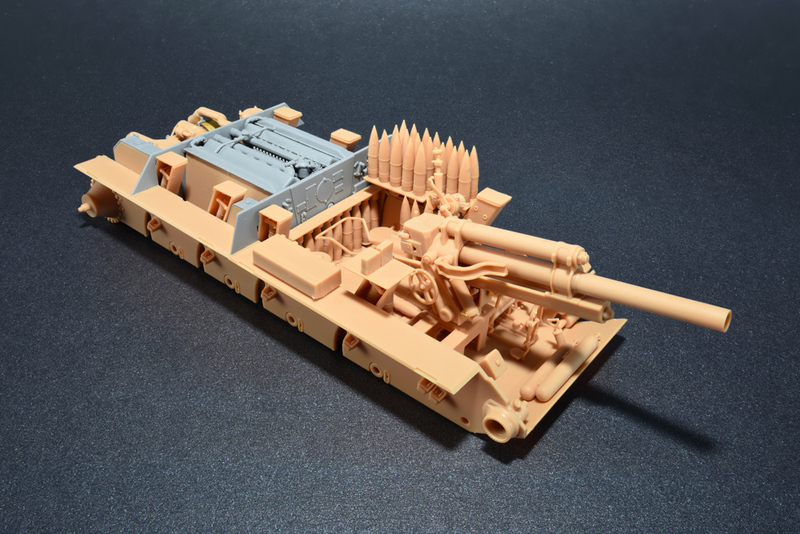 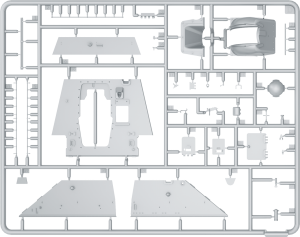 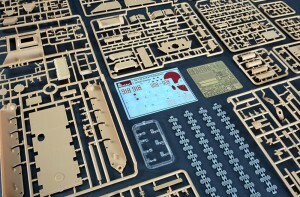 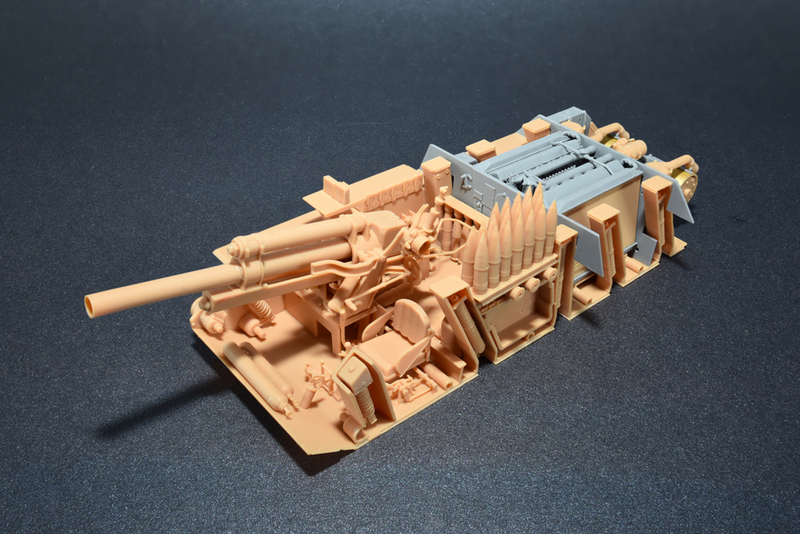 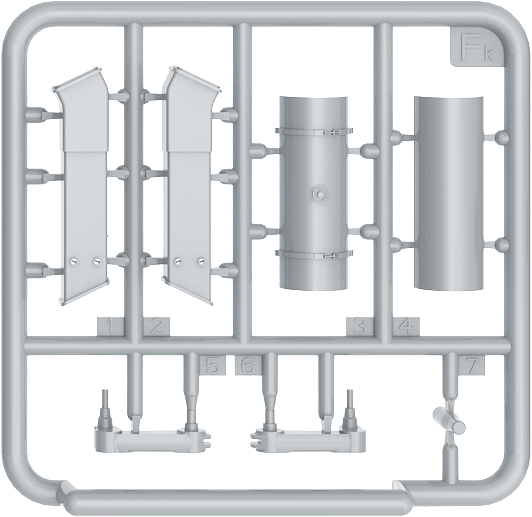 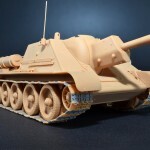 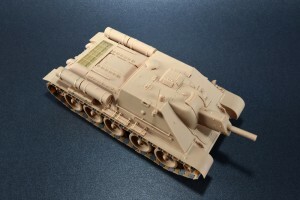 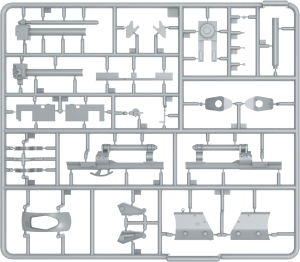 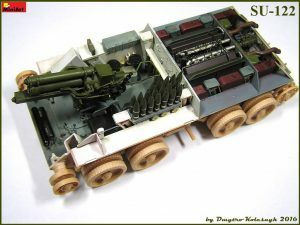 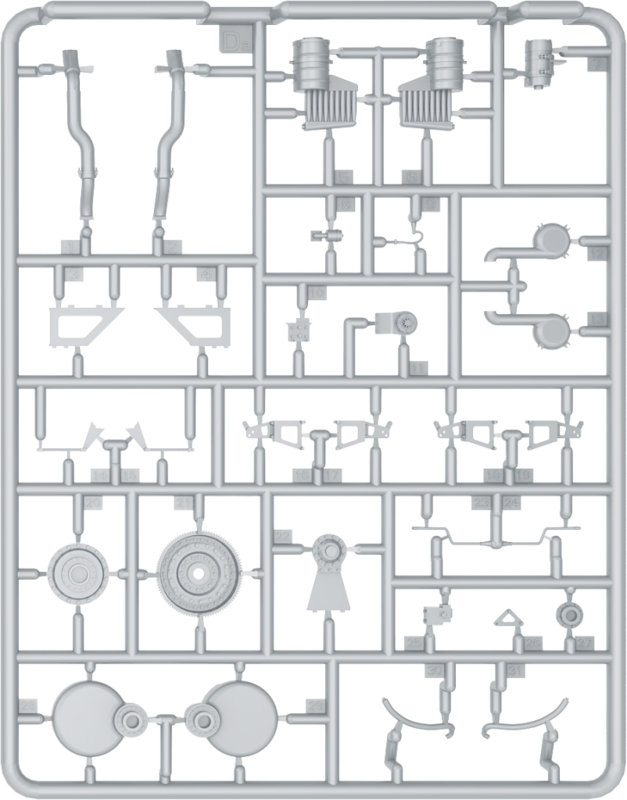 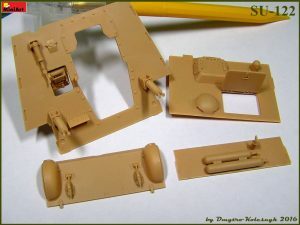 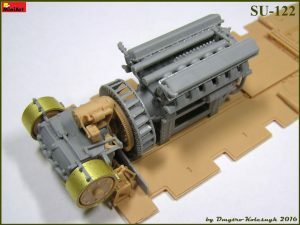 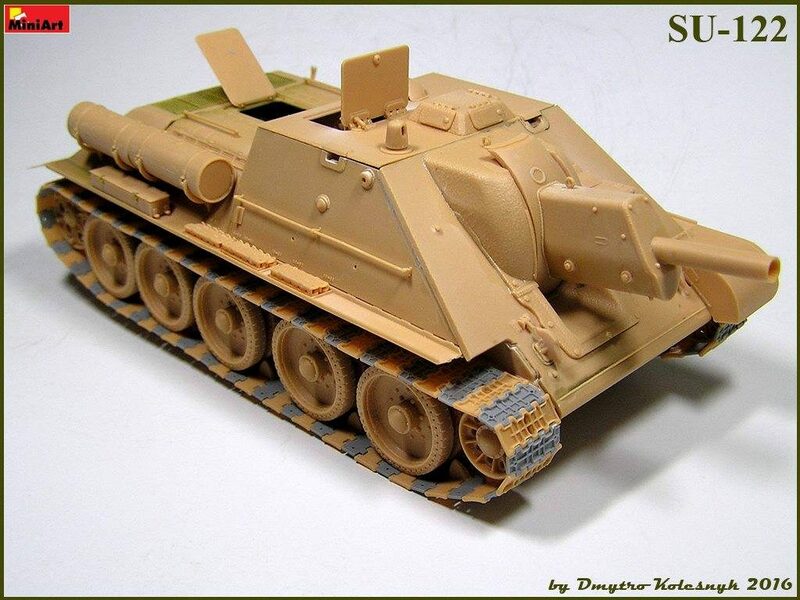 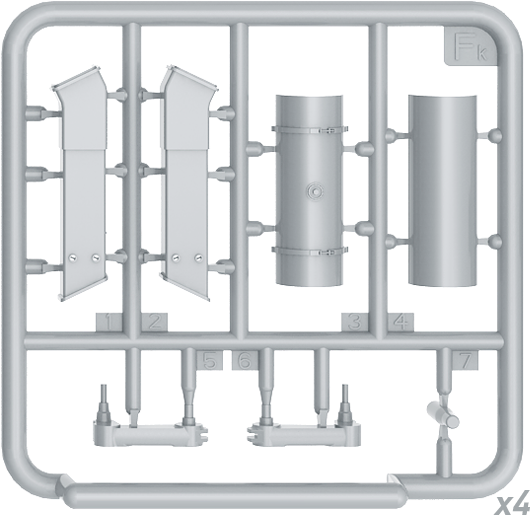 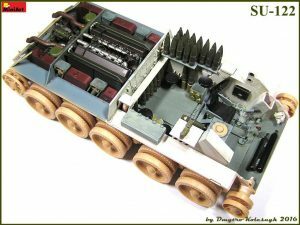 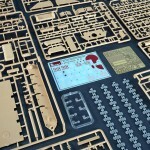 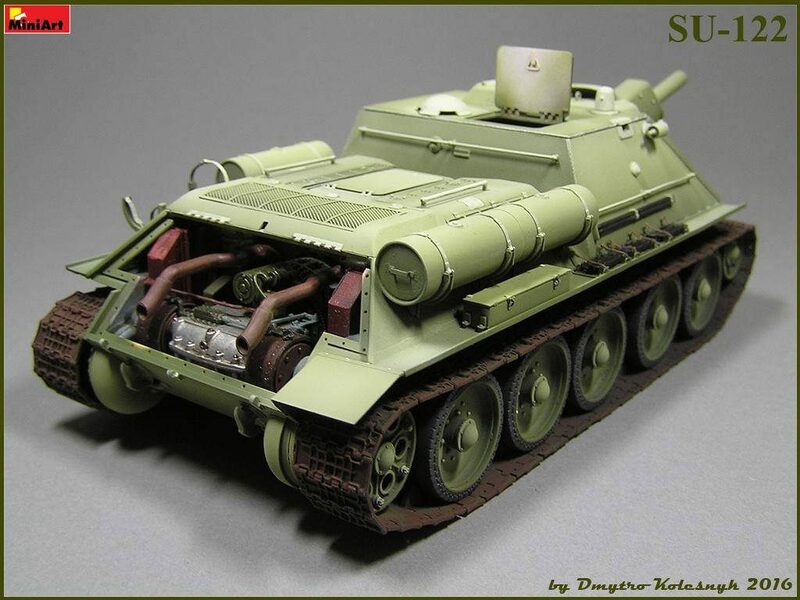 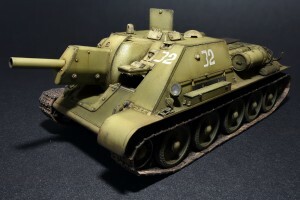 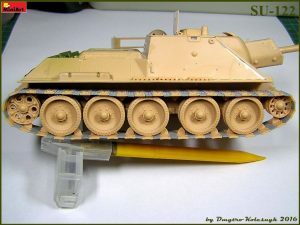 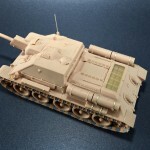 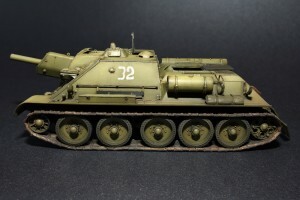 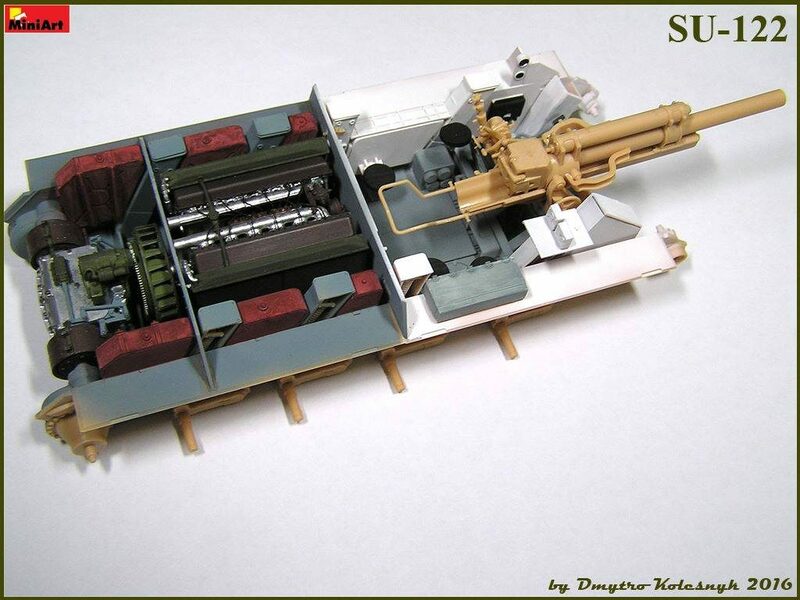 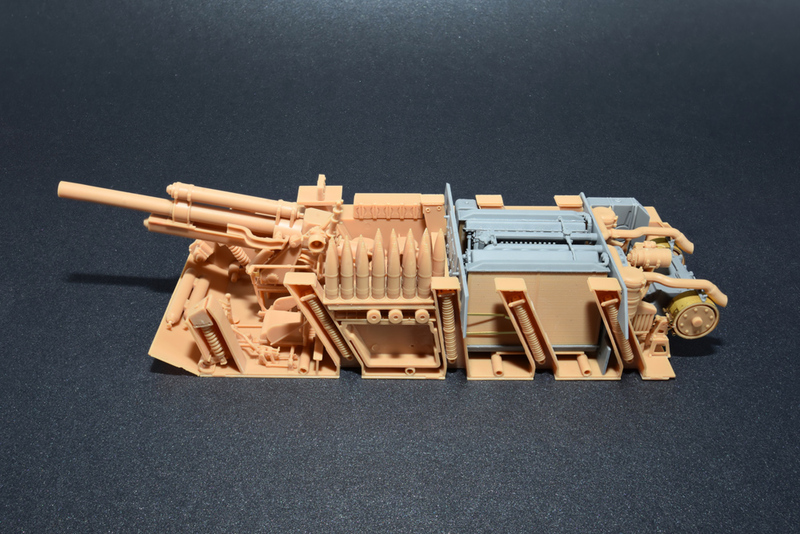 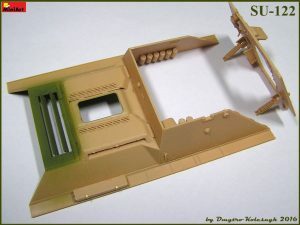 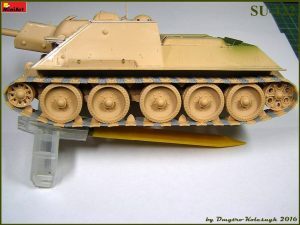 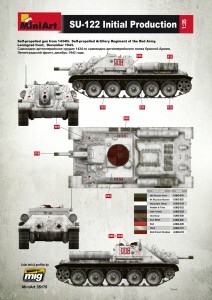 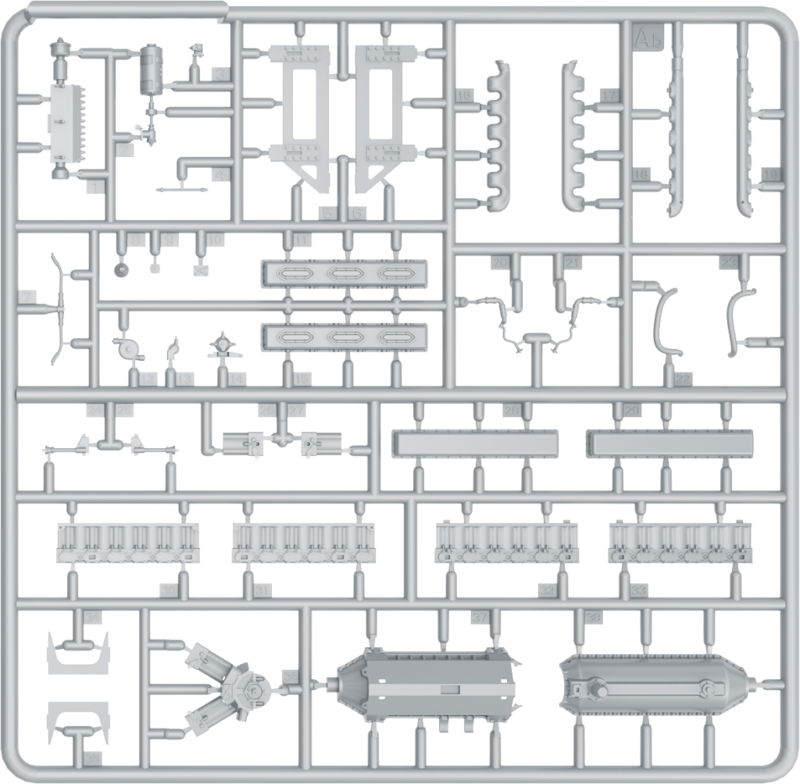 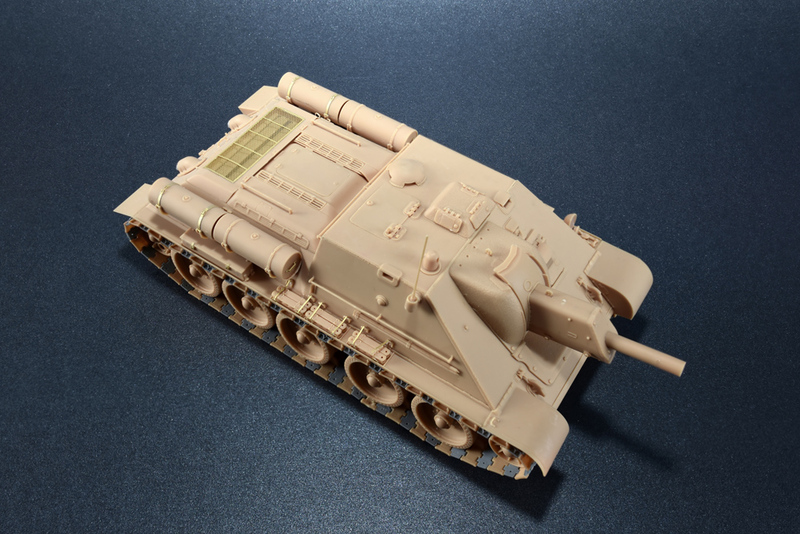 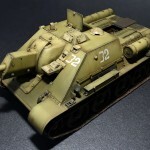 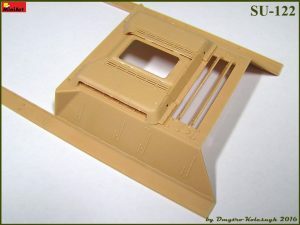 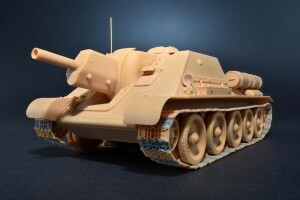 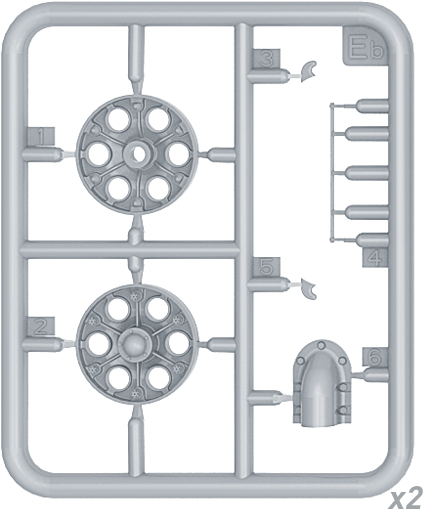 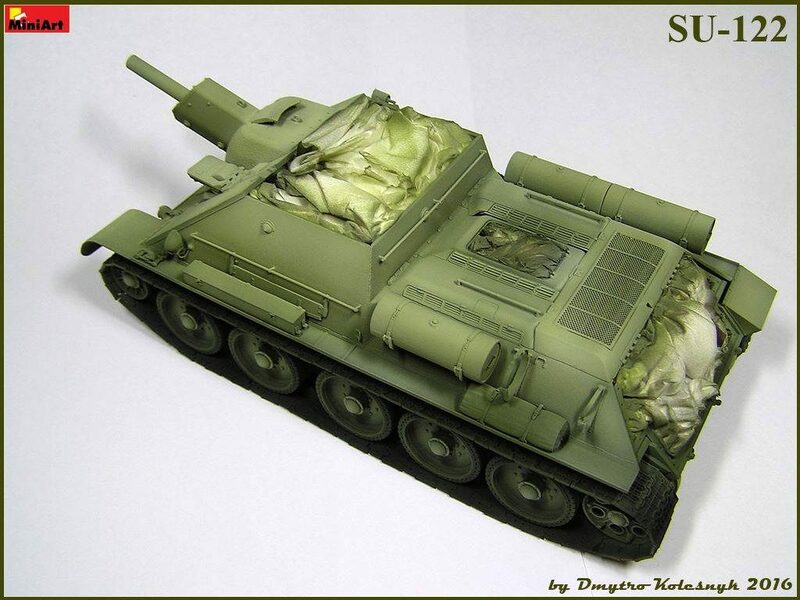 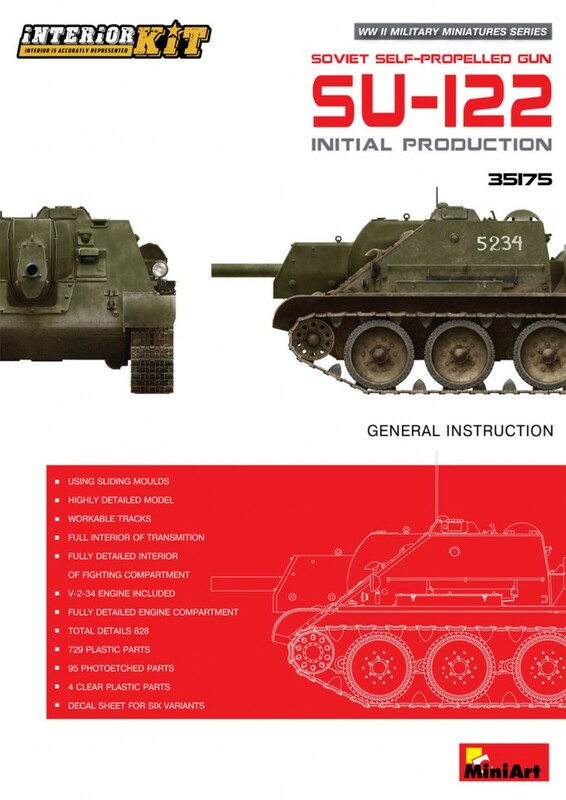 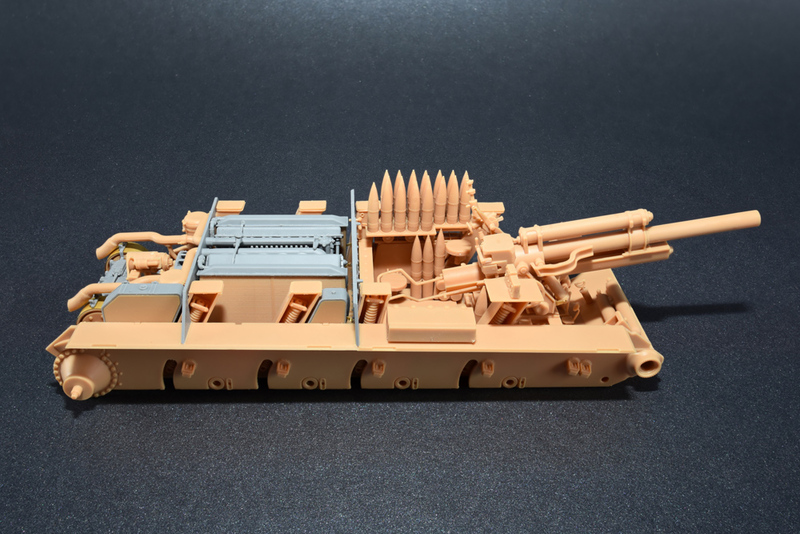 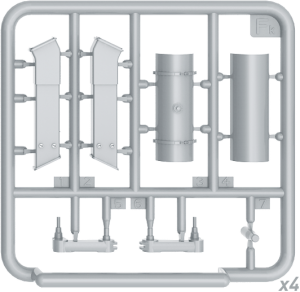 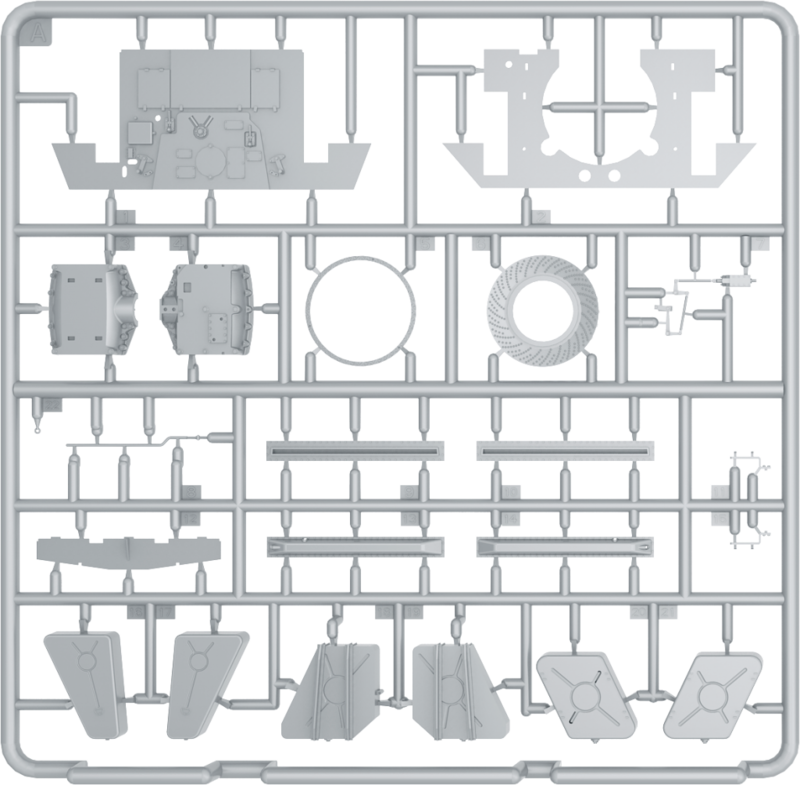 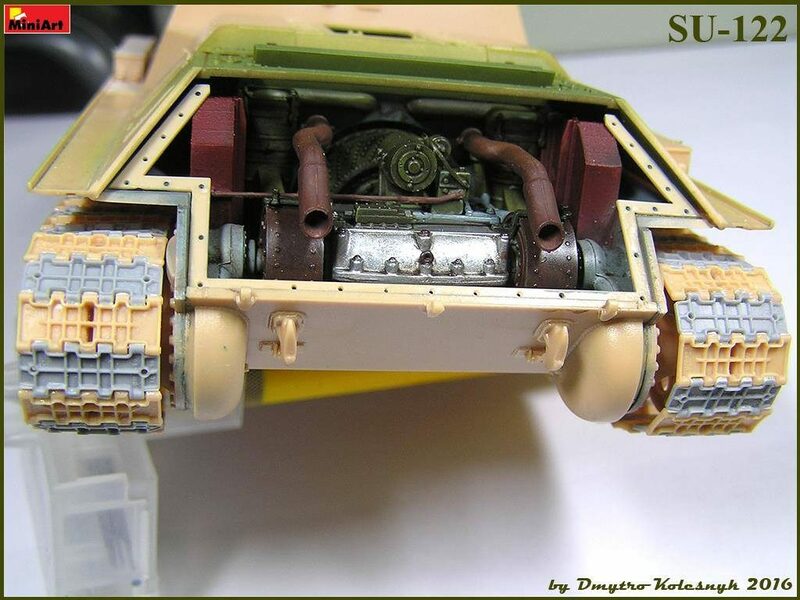 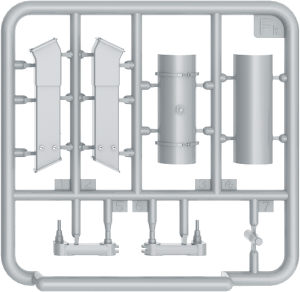 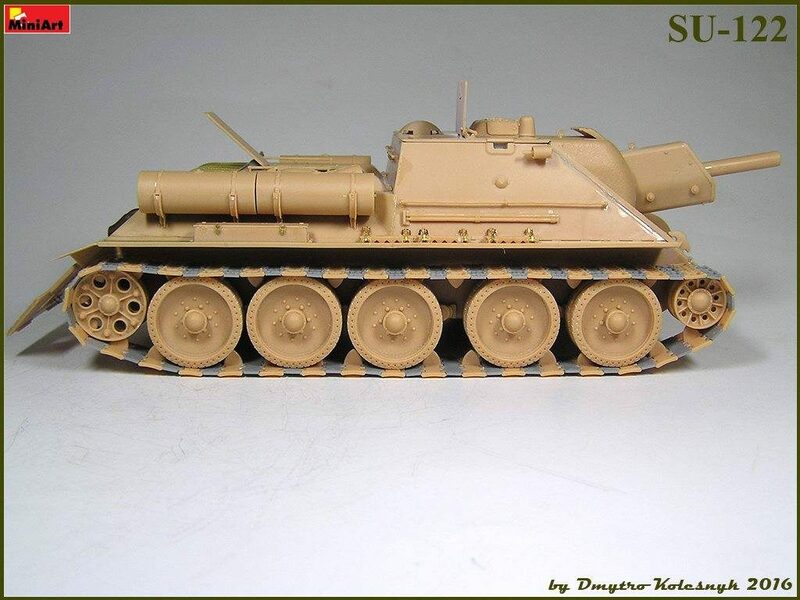 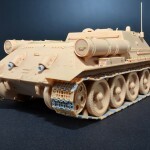 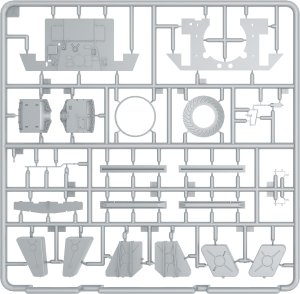 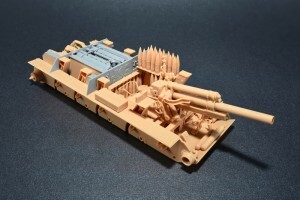 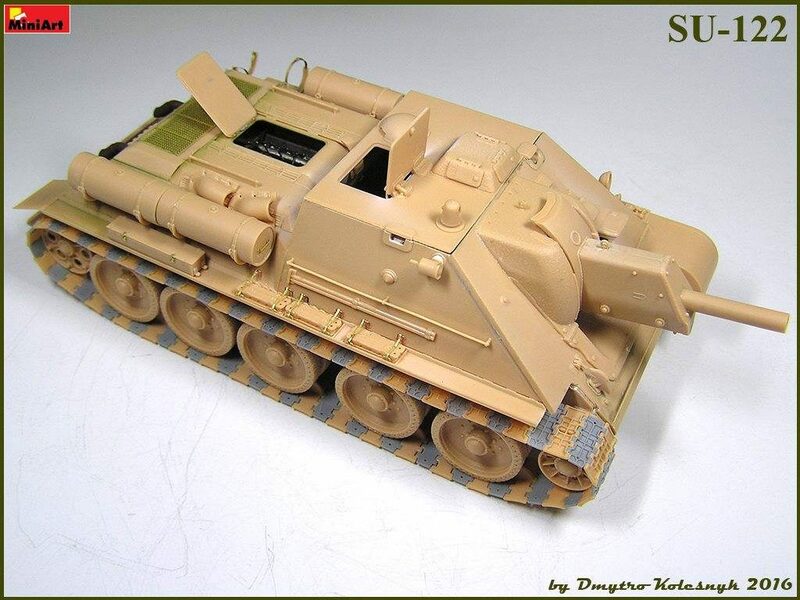 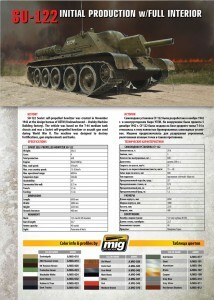 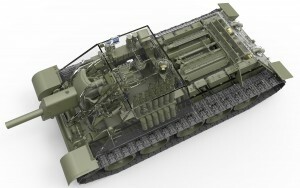 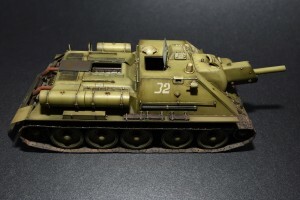 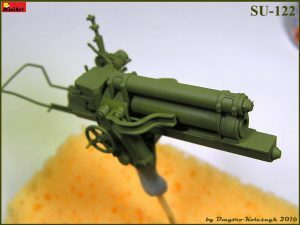 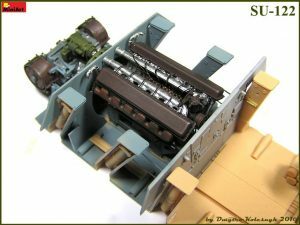 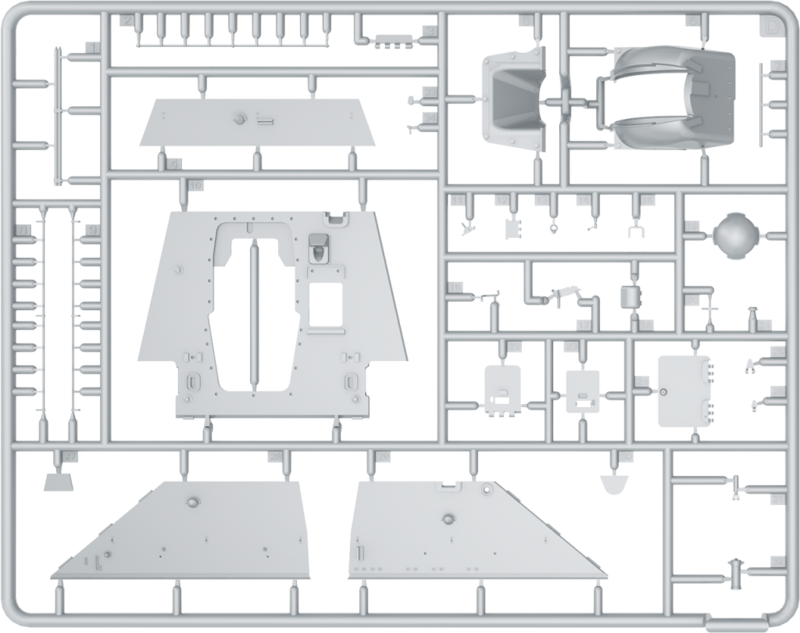 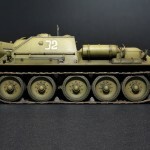 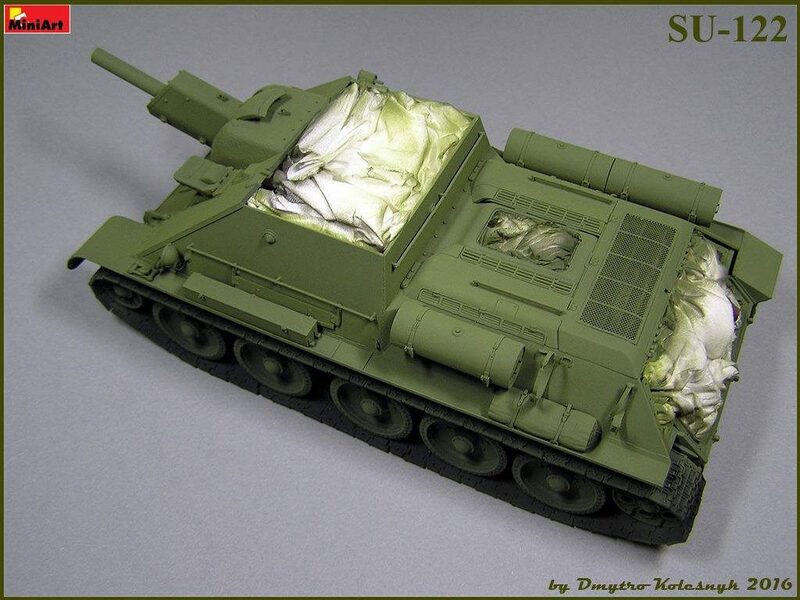 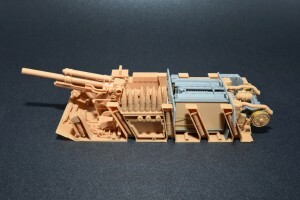 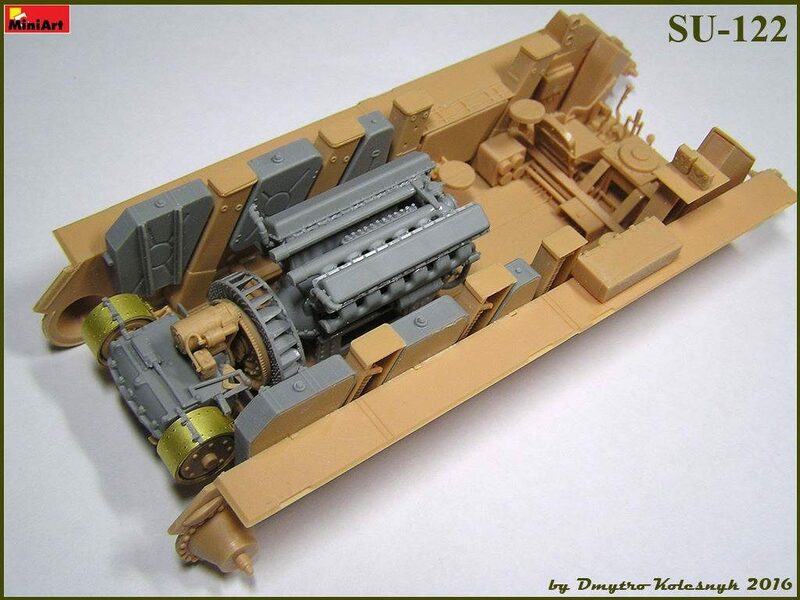 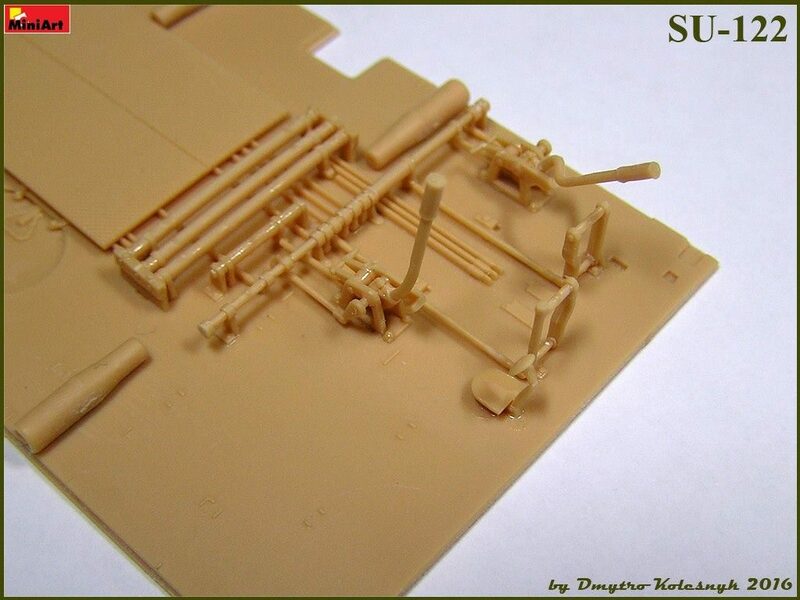 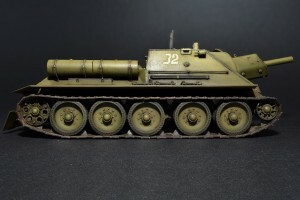 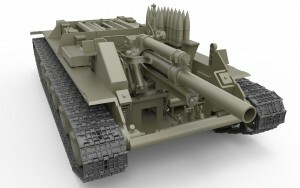 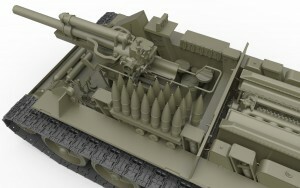 Set includes model of a soviet Soviet self-propelled gun SU-122. 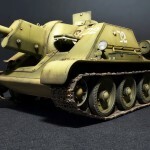 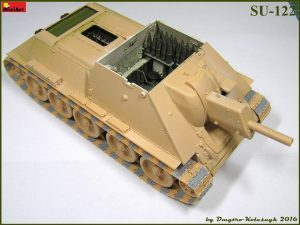 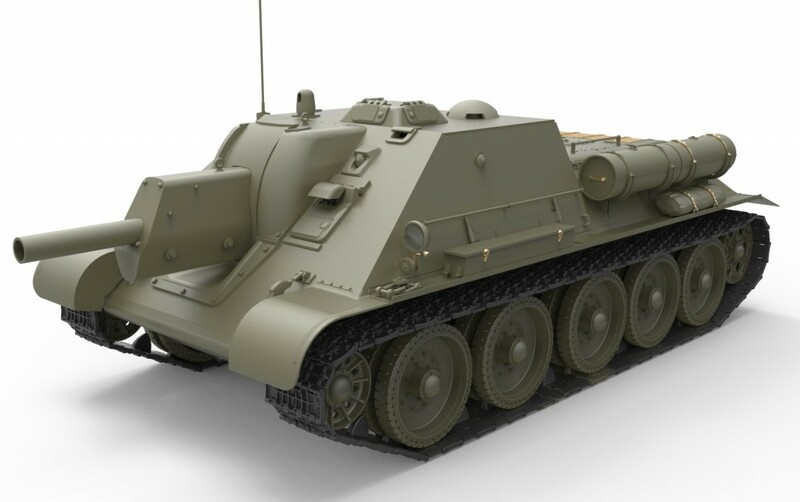 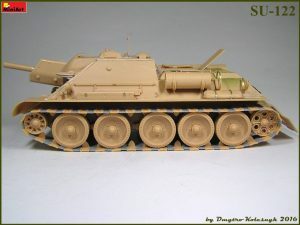 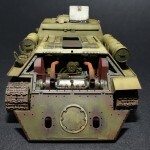 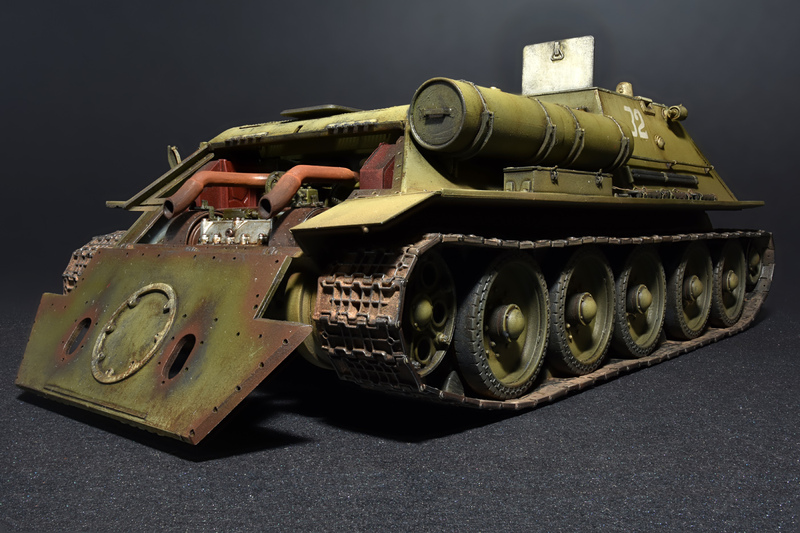 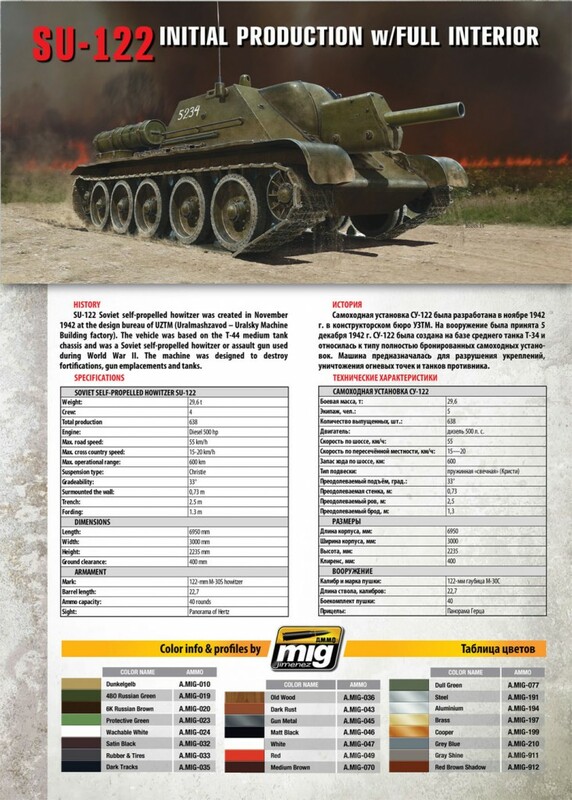 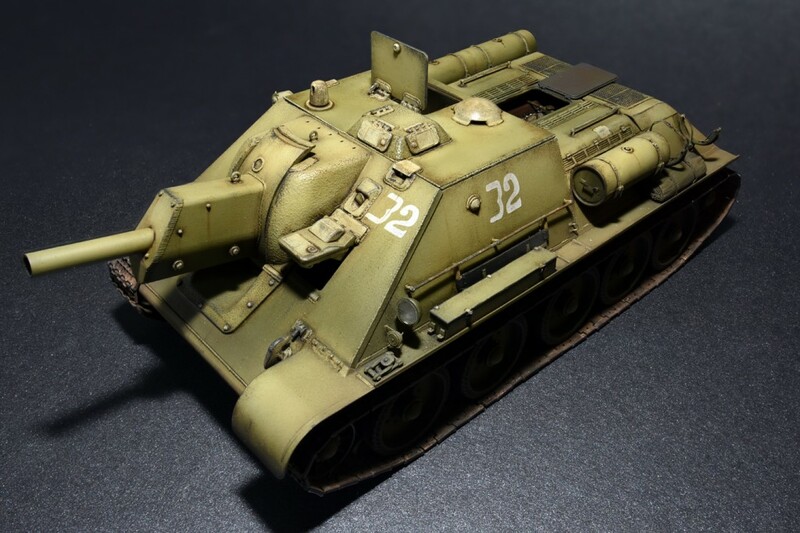 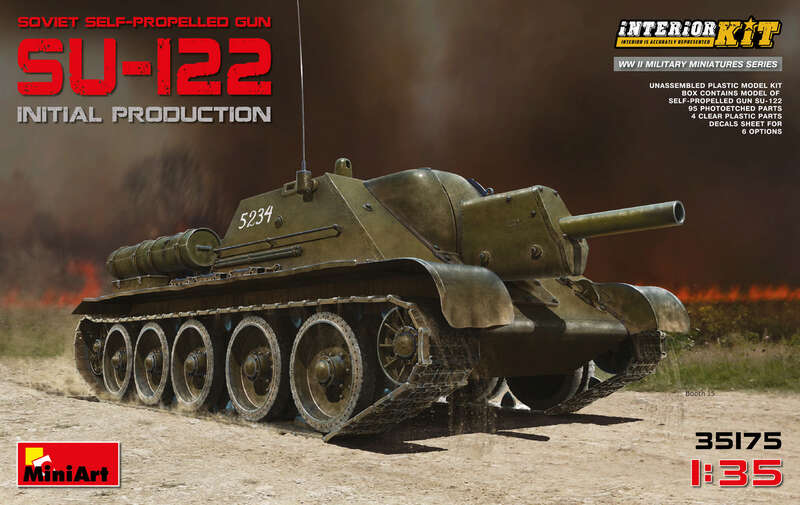 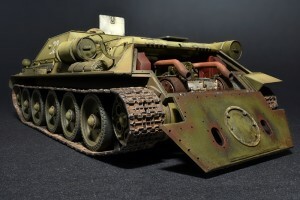 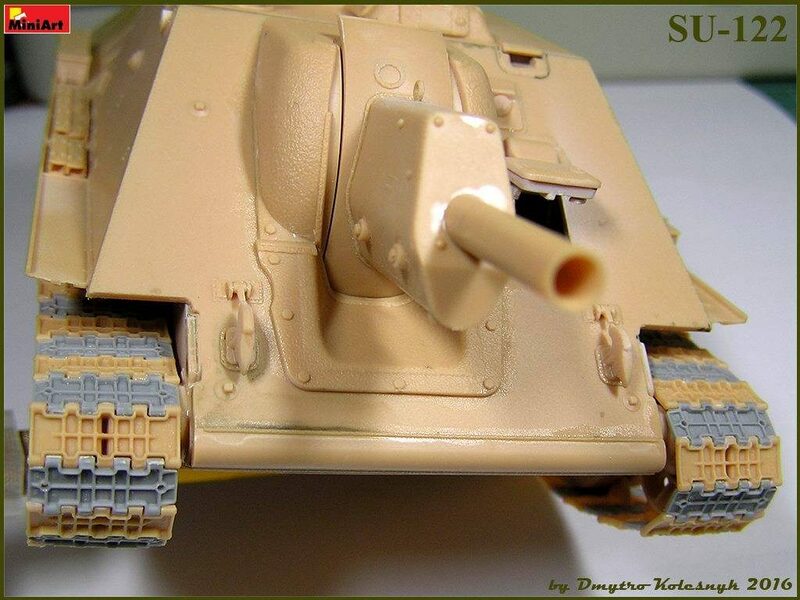 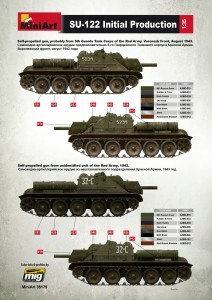 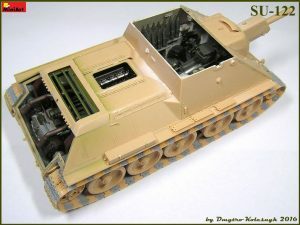 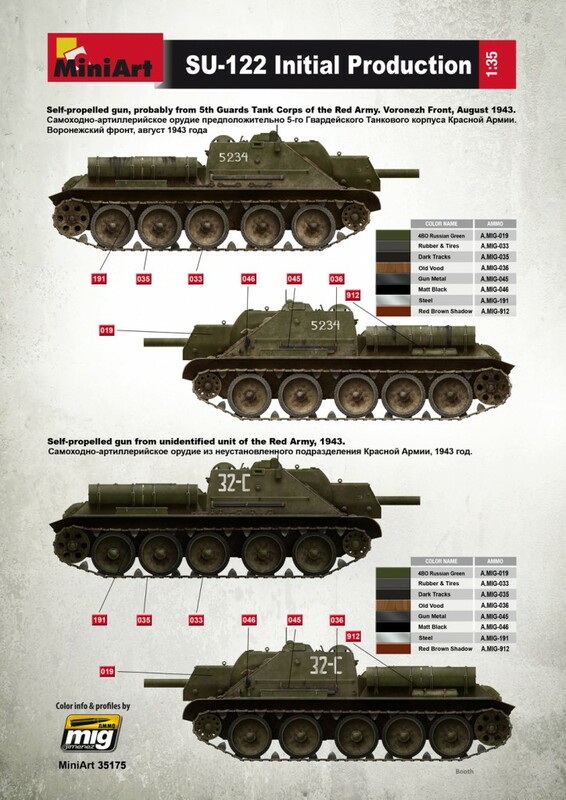 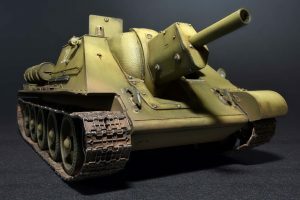 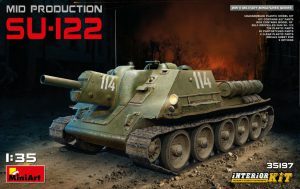 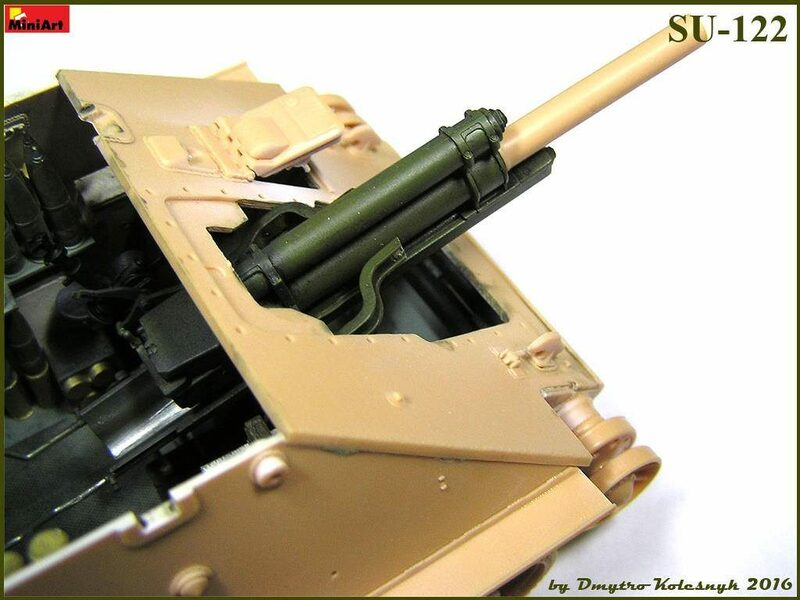 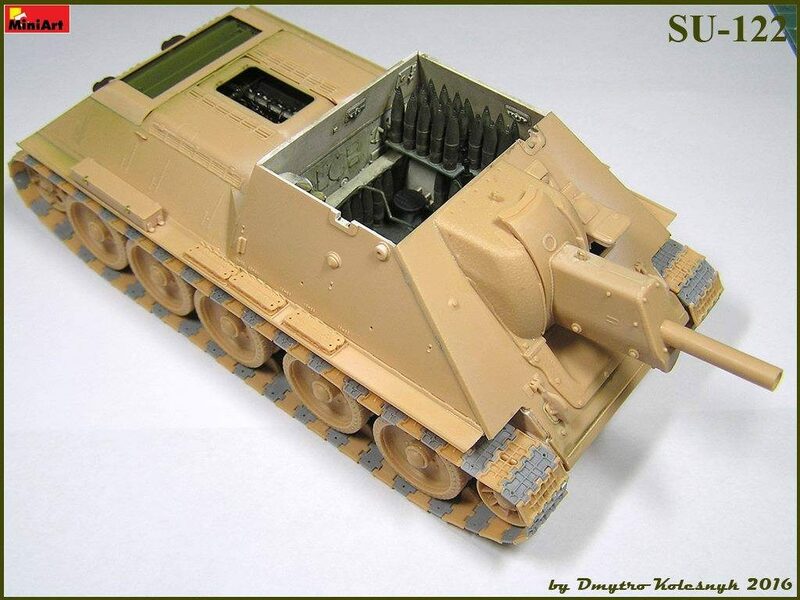 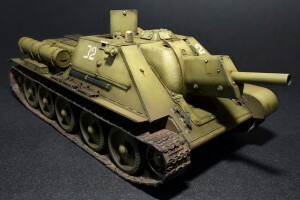 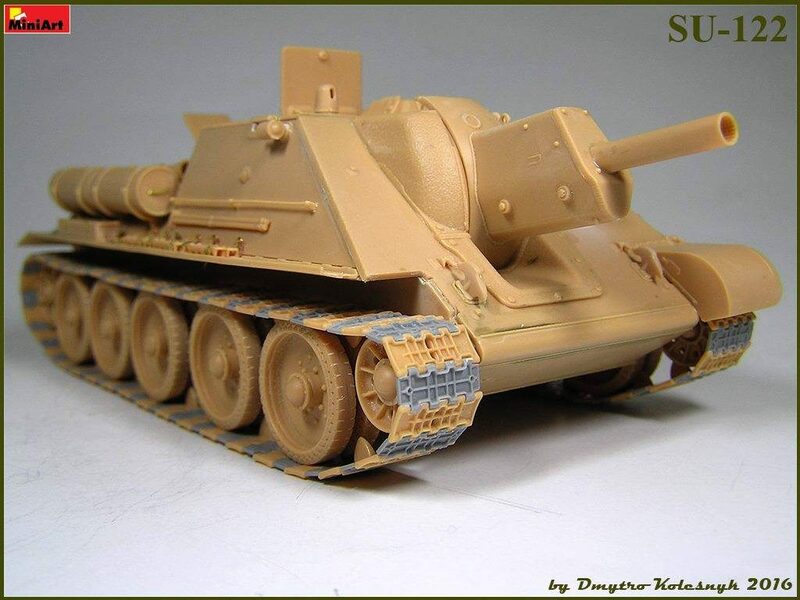 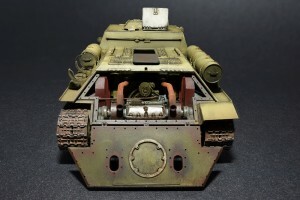 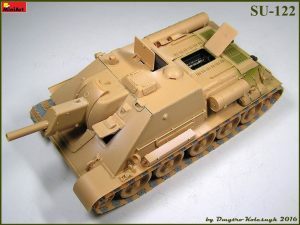 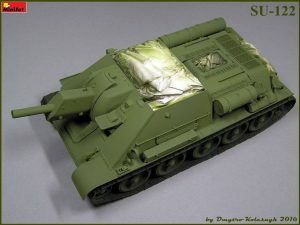 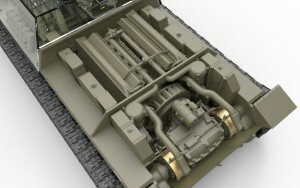 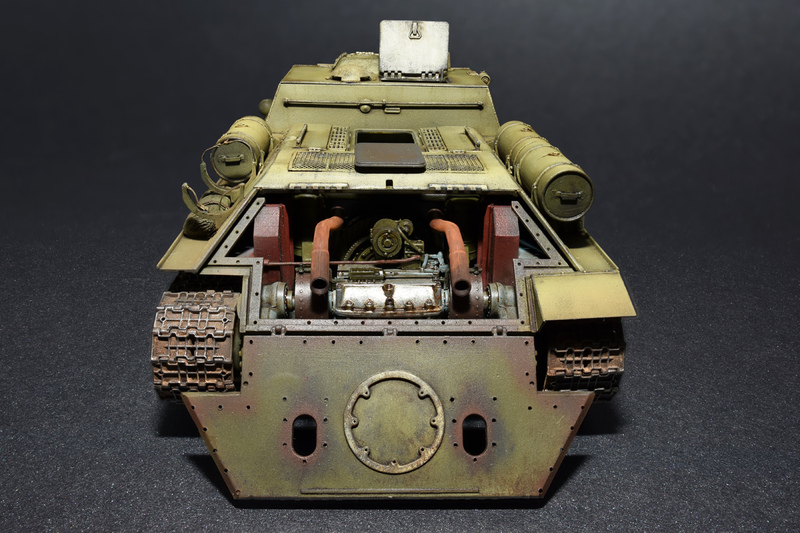 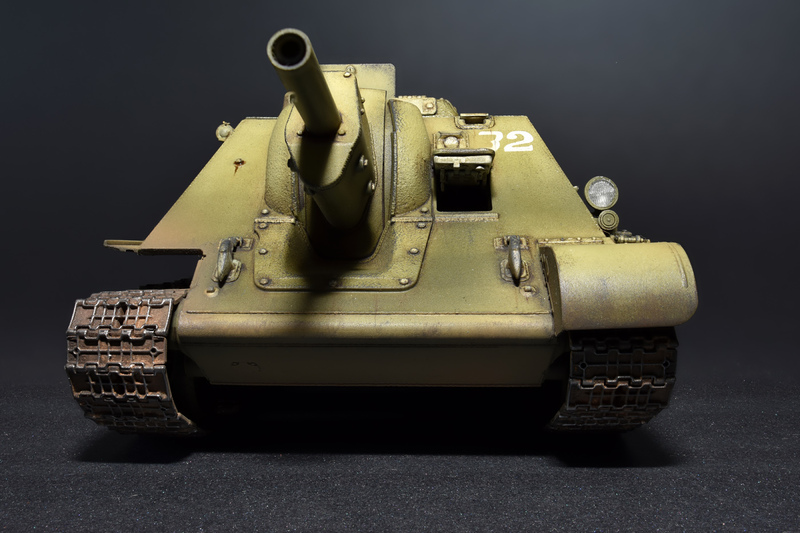 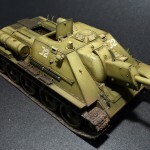 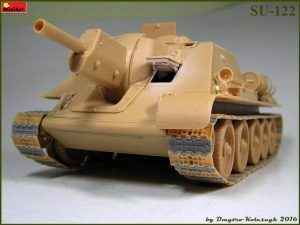 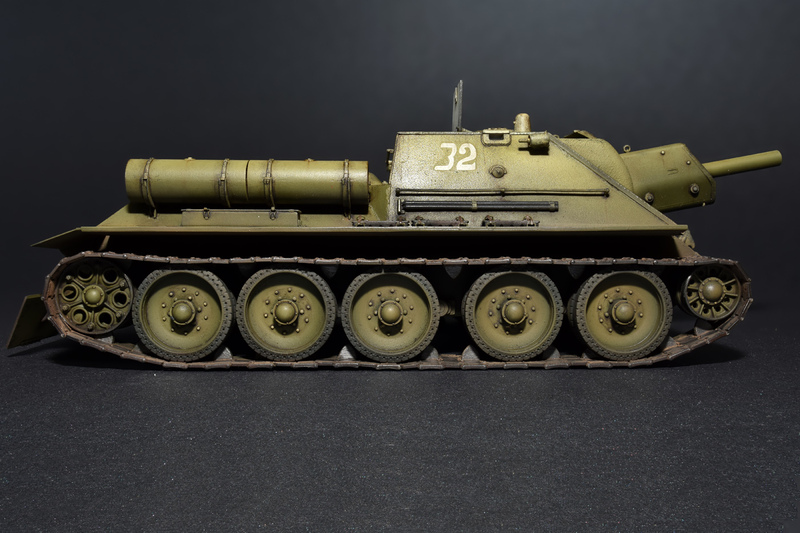 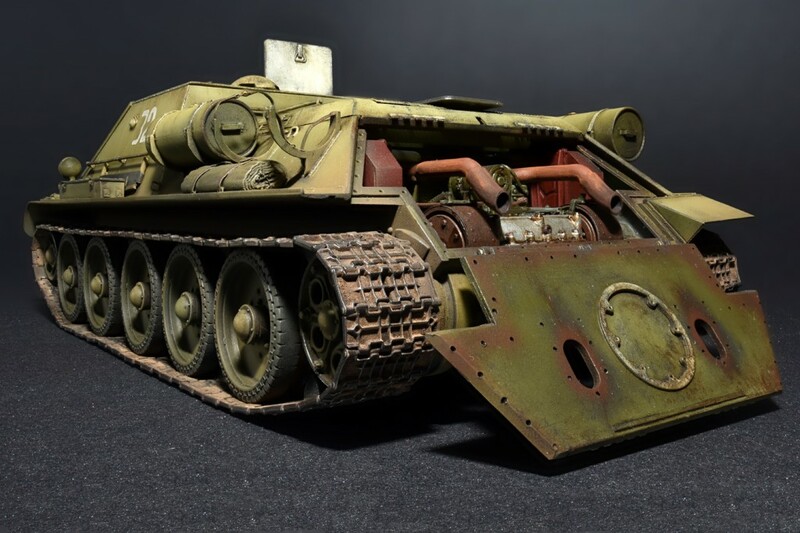 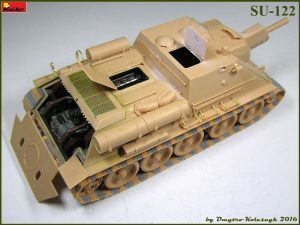 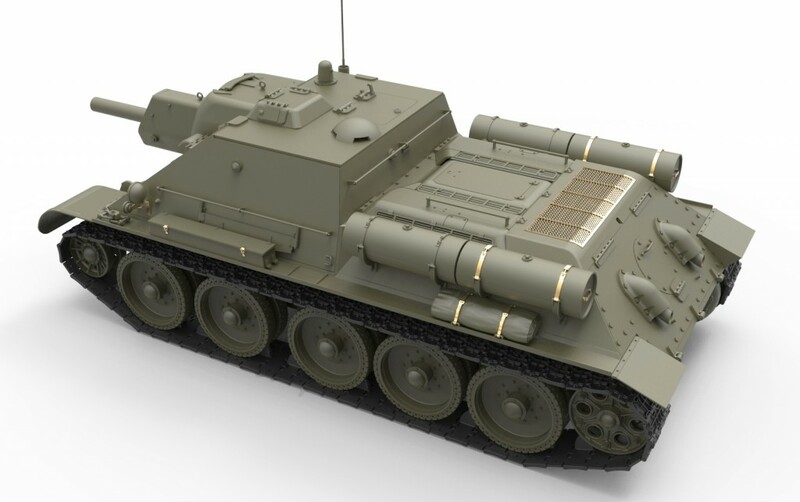 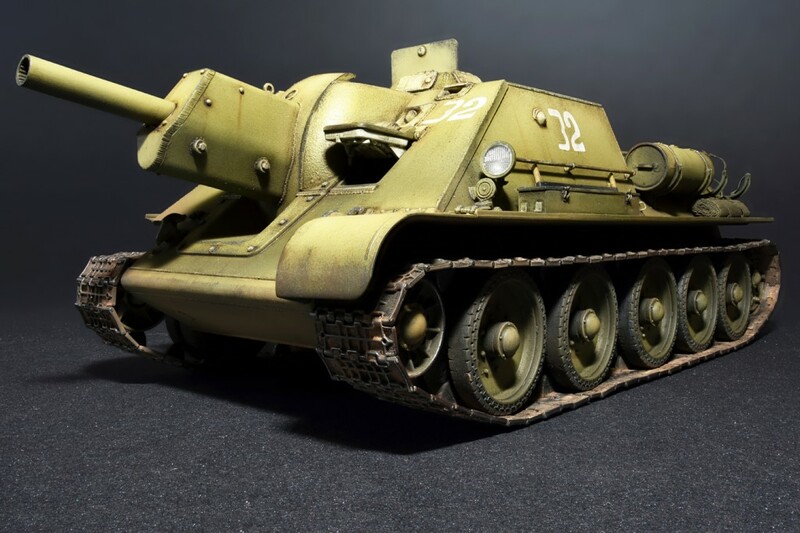 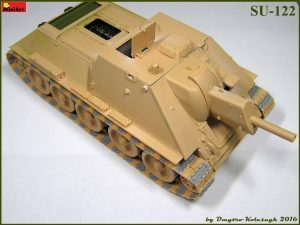 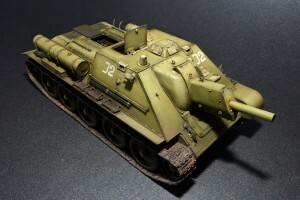 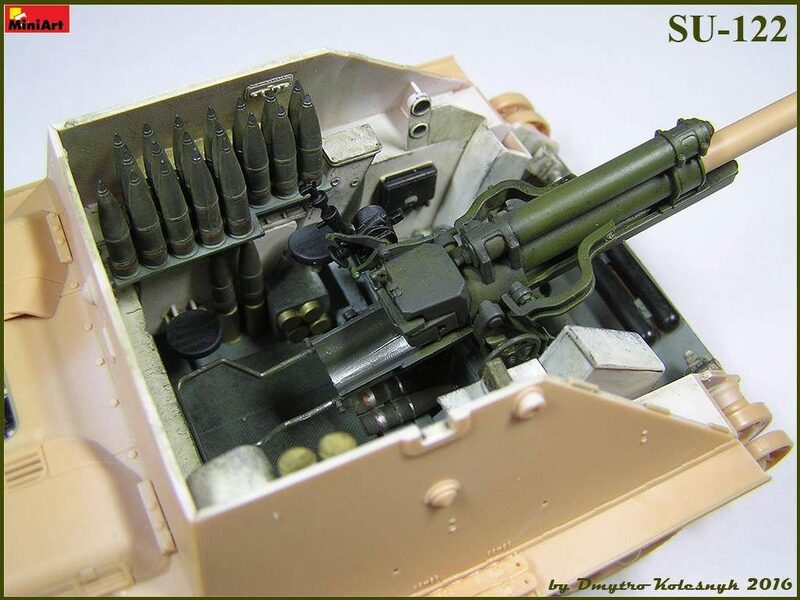 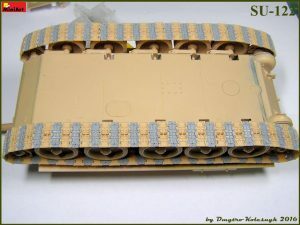 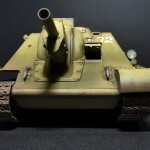 SU-122 Soviet self-propelled howitzer was created in November 1942 at the design bureau of UZTM (Uralmashzavod – Uralsky Machine Building factory).The vehicle was based on the T-44 medium tank chassis andwas a Soviet self-propelled howitzer or assault gun used during World War II. 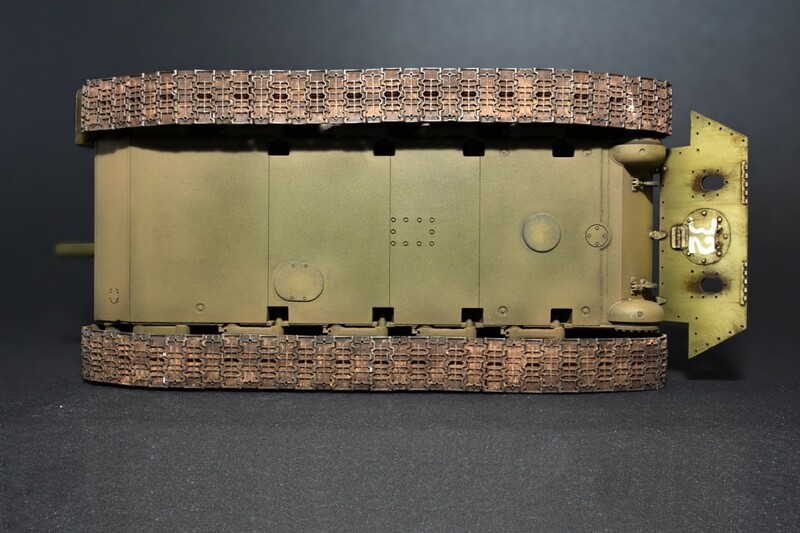 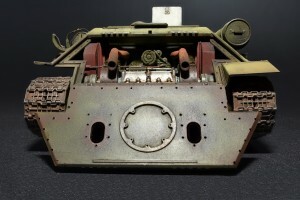 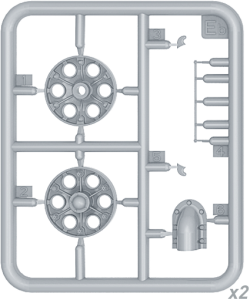 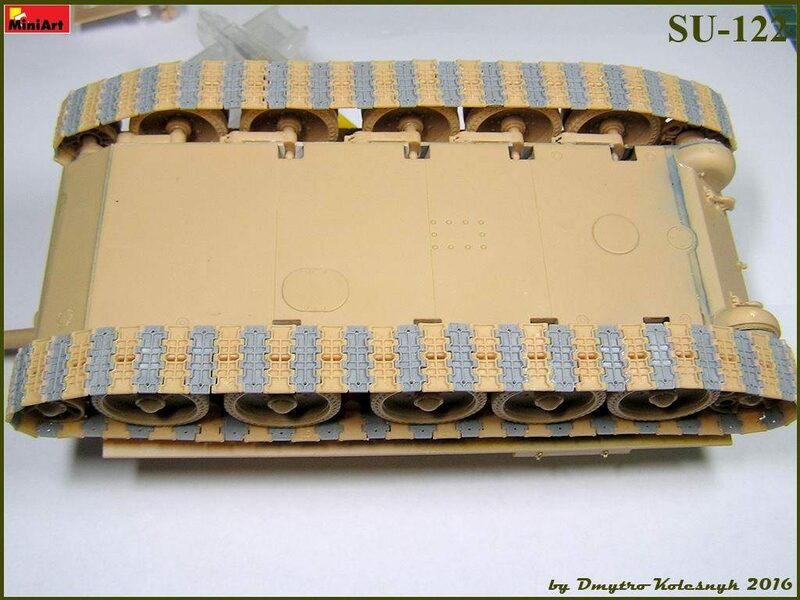 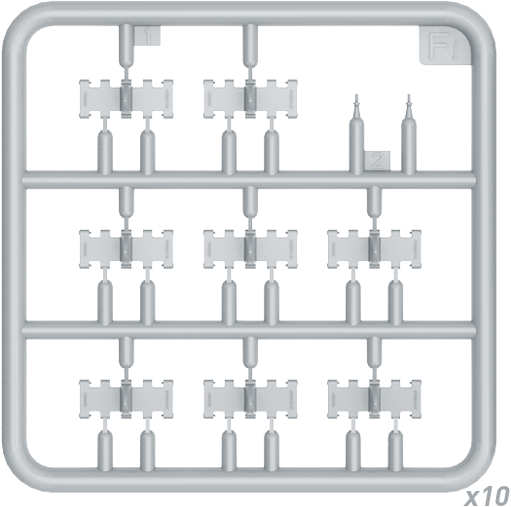 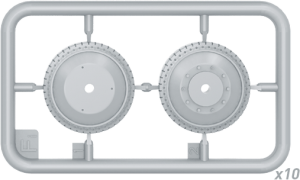 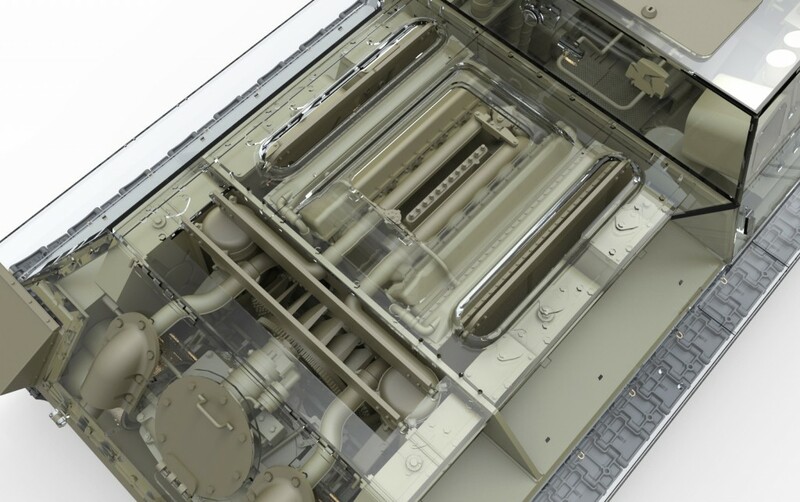 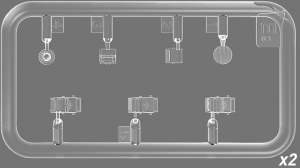 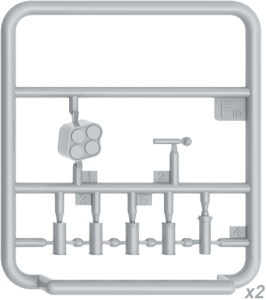 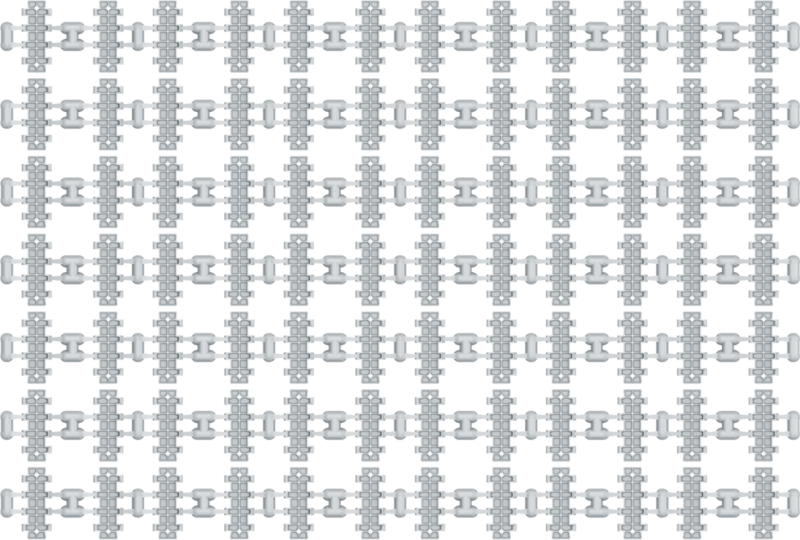 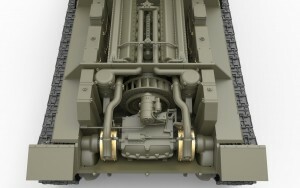 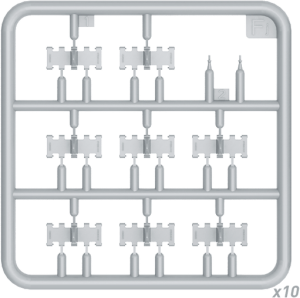 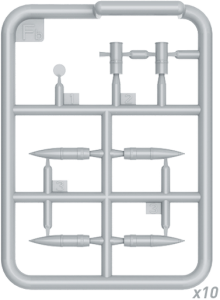 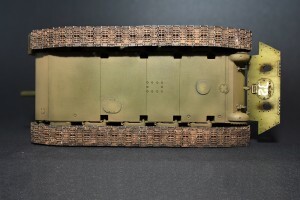 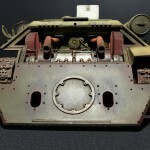 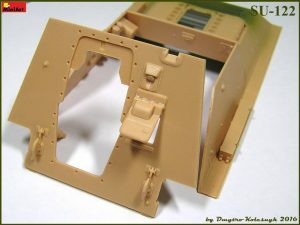 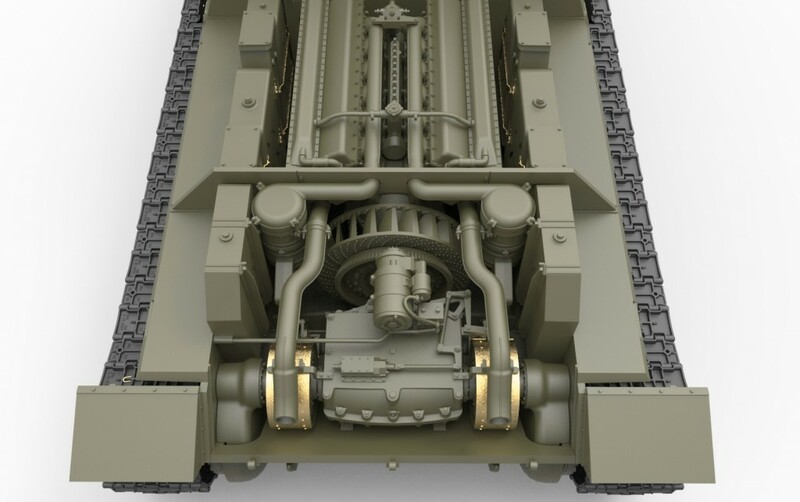 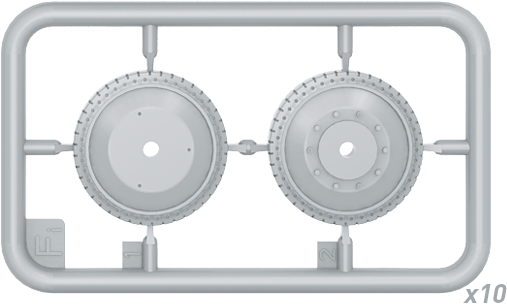 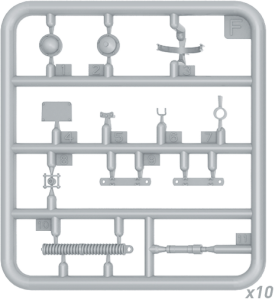 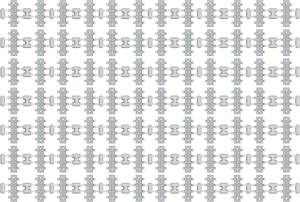 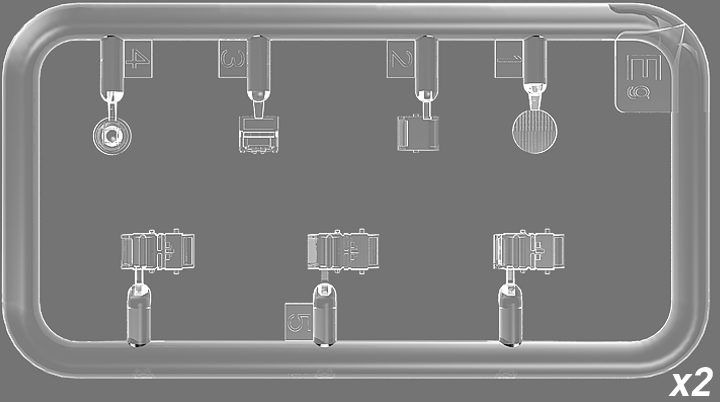 The machine was designed to destroy fortifications, gun emplacements and tanks.